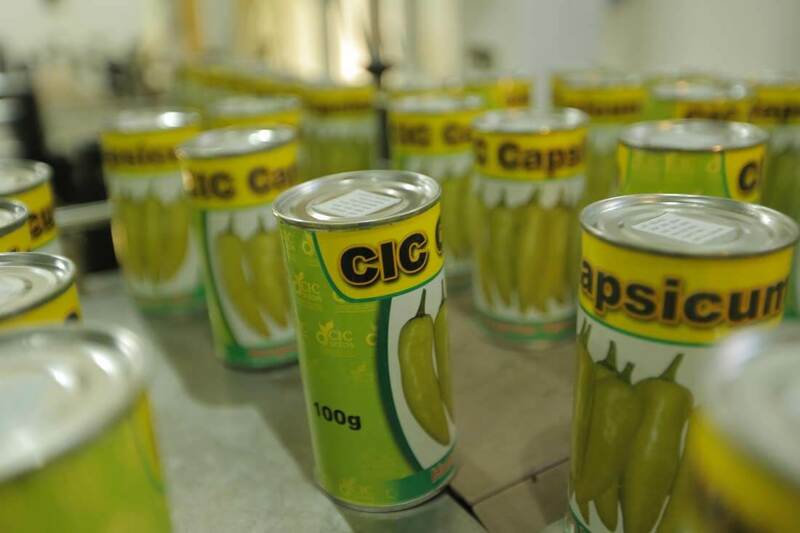 CIC is the only company in Sri Lanka that manages the entire supply chain from seed to shelf connecting rural farmers to urban consumers and facilitating the socio economic progress of rural communities with the guarantee of CIC quality. CIC Agribusiness manages over 10,000 acres of farmland and work with over 20,000 rural farmers in producing a wide range of Agri Produce including Healthy Rice, Fruits, Vegetables, Seeds and grains and Dairy products which caters to the country’s food security, nutrition and import substitution initiatives. CIC uses internationally-accepted food safety standards and good agricultural practices, that create produce that contains the wholesome goodness and nutritional value required for nourishment. 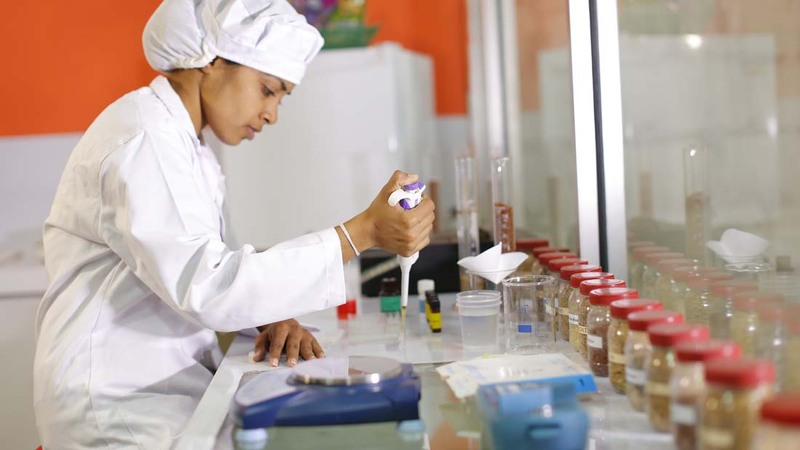 We also make substantial investments in our research and development facilities which include rice breeding, soil labs, seed labs, food labs and tissue culture labs and work with reputed overseas principals for developing modern technologies comprising high yielding and pest resistant crop varieties into the country. 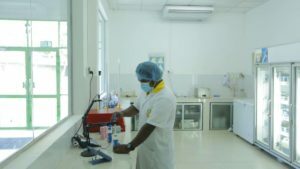 In addition, its own crop and livestock farms act as technology transfer centers to the farming community of Sri Lanka introducing new agricultural technologies. 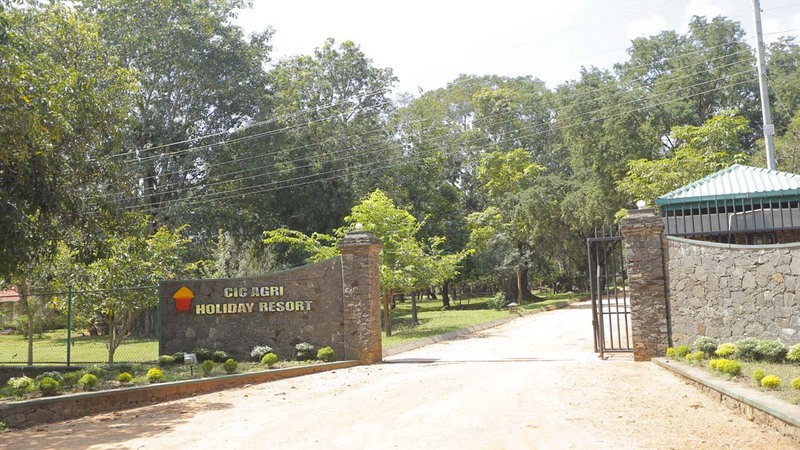 CIC’s Agri Holiday Resort at Windsor Park in Hingurakgoda has been established as a unique venture that showcases agriculture and its great influence on Sri Lankan society, its culture, and its economy. From prehistoric times, agriculture has been the lifeblood of Sri Lanka’s economy, and it is an intrinsic part of Sri Lanka’s culture and traditions. 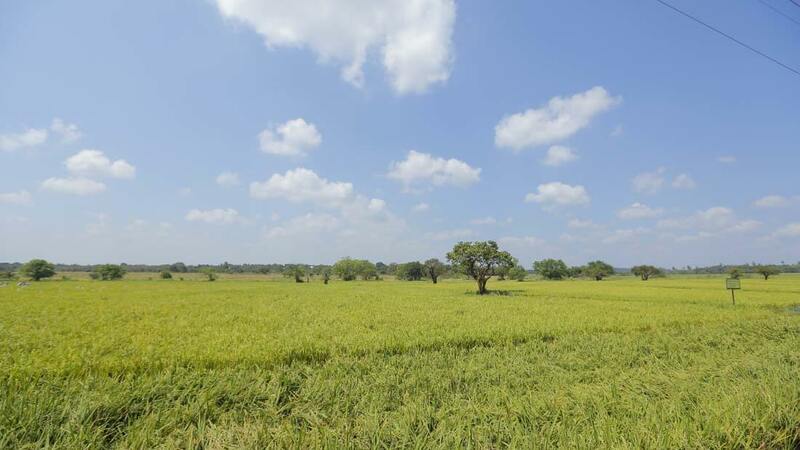 Hingurakgoda, in the Polonnaruwa district, is located in an area that epitomises the agricultural prowess not just of the district, but of the country as a whole. 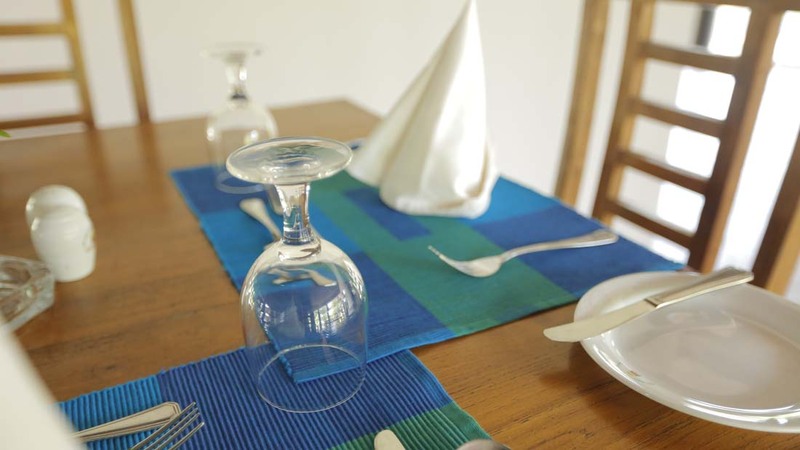 The central location of the Agri Holiday Resort also allows it to be the perfect base for travellers to visit some of the most attractive destinations in north-central and north-eastern Sri Lanka. 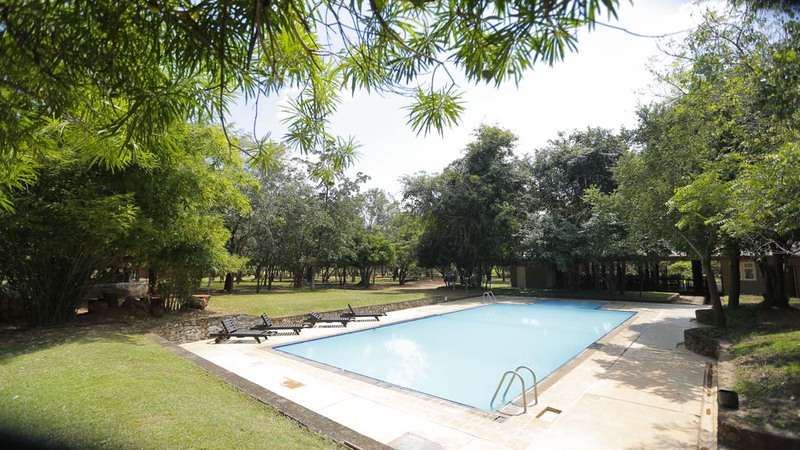 Located in an area encompassing 1380 acres (558 hectares), the CIC Agri Holiday Resort is an ideal getaway for those who live in urban areas to experience farm life up close. The peaceful surroundings of Hingurakgoda add a layer of serenity that visitors will enjoy. Visitors to the Agri Holiday Resort have a choice of seven individual air-conditioned Cabanas – including two family apartments – that offer comfortable accommodation with all basic amenities. The resort comes complete with a restaurant and bar, an auditorium with all the facilities you need for business meetings, a reception hall for weddings or other special events, a swimming pool on the premises, and a host of fun activities including sports and games for children. 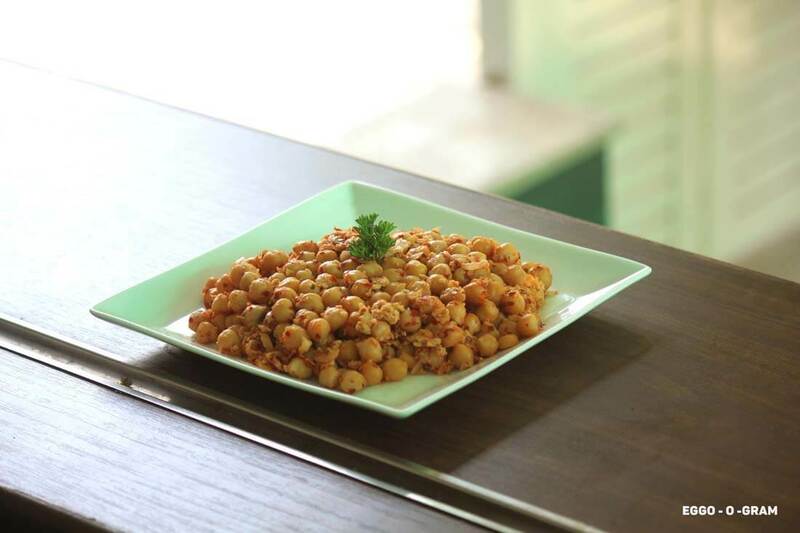 Our chefs will also, upon request, give you an interactive cookery demonstration, where you will get to cook using fresh vegetables from the farm. A paddy husk charcoal production unit. Most of these areas and units are active throughout the year, and can be visited at any time during the year. You will gain a good understanding of how much this dry-zone region contributes to Sri Lanka’s agriculture sector. The area is also rich in wildlife, with a variety of birds, reptiles, insects, and small mammals that inhabit the area. The farm’s lake is an ideal opportunity to partake in inland fishing, and fishing tours can be arranged from the resort itself. 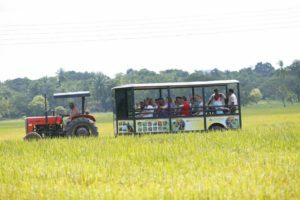 CIC Agri Holiday Resort does not limit its activities to farm visits and showing off its facilities. The area around the farm is scenic as well as interesting. 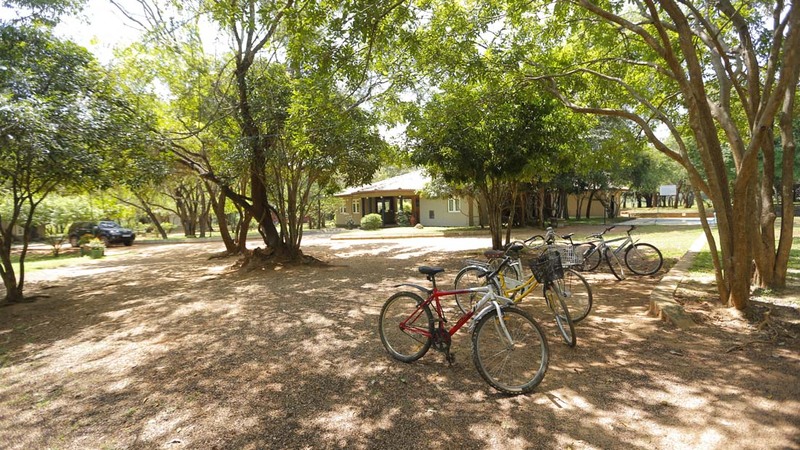 Visitors can see the area driving, riding a bicycle or simply having a leisurely evening walk along the many trails in the surrounding area and be enthralled by what they see. 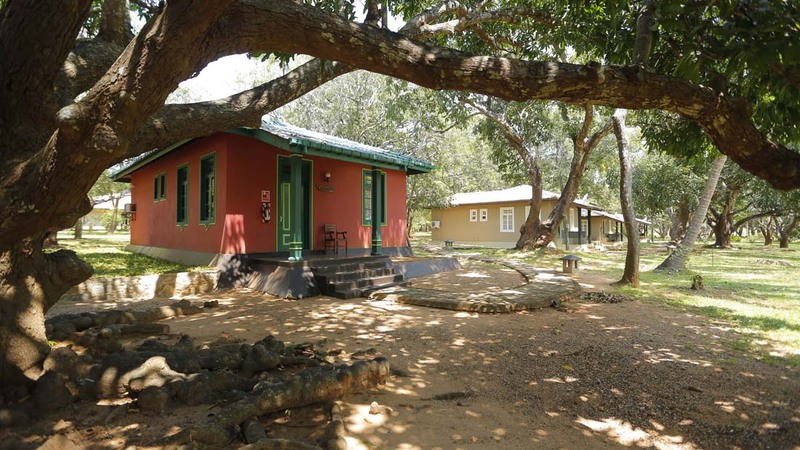 Sri Lanka is one of the world’s prime wildlife destinations, and CIC Agri Holiday Resort is in close proximity to the Kaudulla and Minneriya National Parks, best known for their significant populations of wild elephants and birdlife. Jeep Safaris are the most common way to enjoy these national parks, but nothing compares to the adventure of an elephant back safari, where you get to ride the largest land mammal in the world. 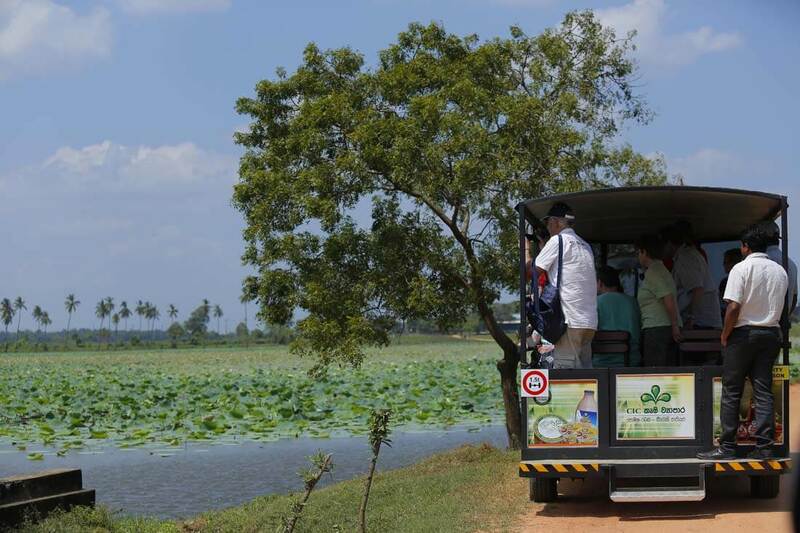 Visitors to the North Central Province of Sri Lanka are never far away from history and heritage sites. The historic cities of Polonnaruwa and Madirigiriya are only half an hour’s drive from the resort, and the Dimbulagala and Somawathiya Temples are only an hour away. Have your next holiday adventure at CIC Agri Holiday Resort! 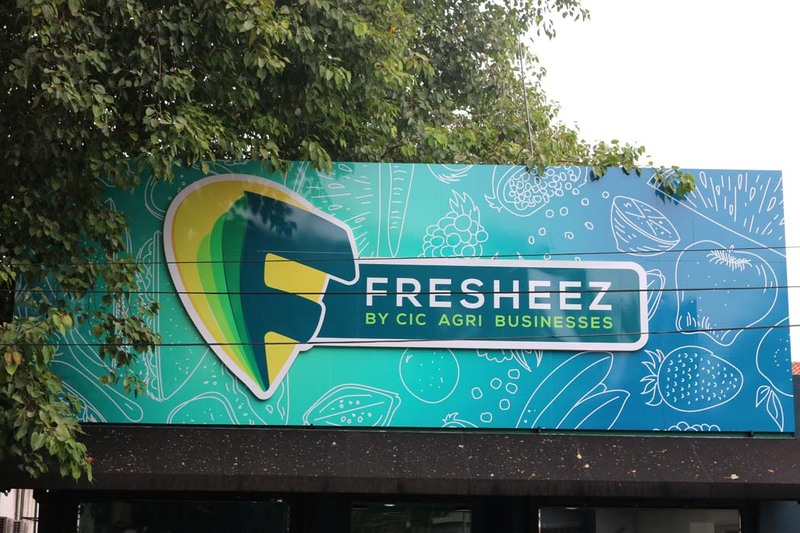 The entire range of CIC’s agri produce is brought together under one roof by CIC’s Agri Produce Retail Chain (APRC), which operates under the brand name “Fresheez”. 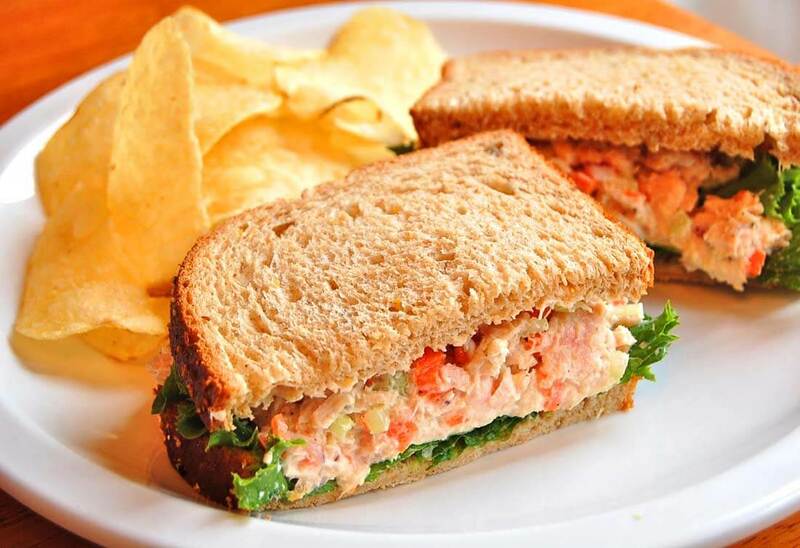 Fresheez offers an unparalleled choice of products in terms of quality and freshness. 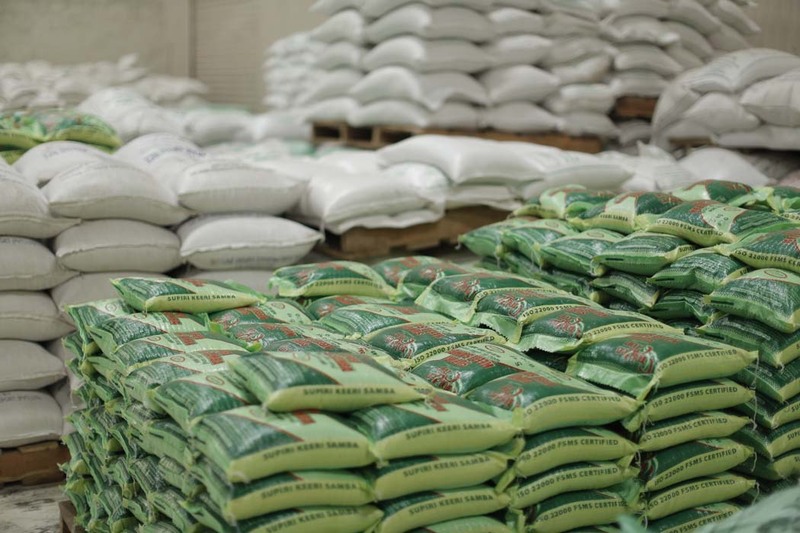 APRC maintains strict codes and practices to ensure that all products are traceable to its point of origin, and provides a high standard of service paying great attention to customer convenience. 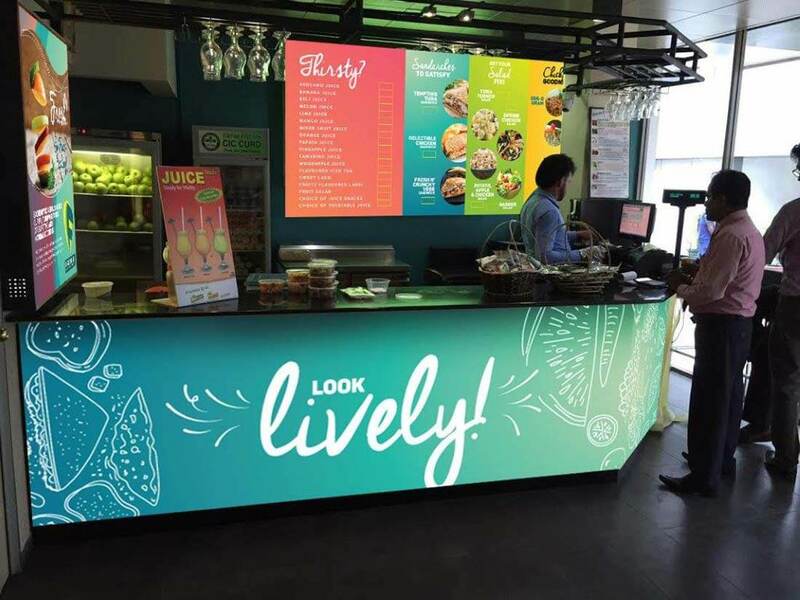 All Fresheez outlets are ISO 22000:2005 (Food Safety Management Systems) certified, reflecting its continued dedication to food safety and product quality. 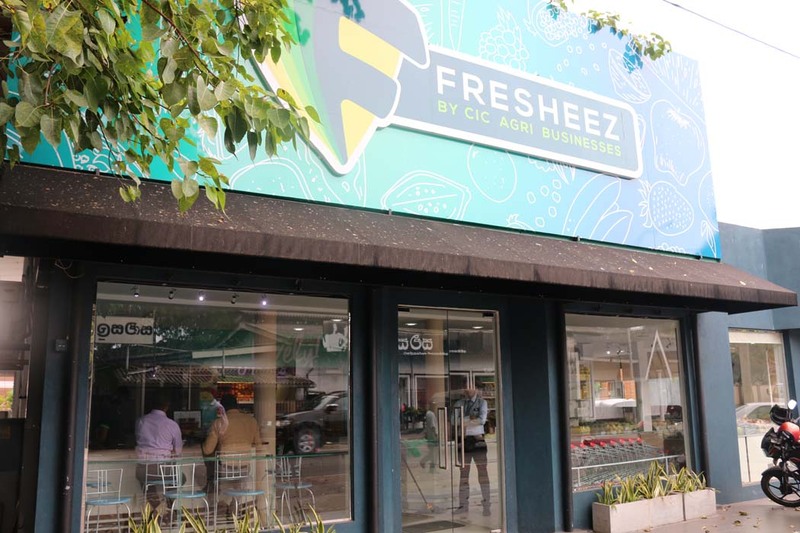 The leading products sold at Fresheez outlets include a wide range of freshly-produced fruit juices and cut fruits according to customer preference, local and imported fruits, low country and up-country vegetables, poultry products including chicken and eggs, rice, and dairy products, including curd and varieties of yoghurt. 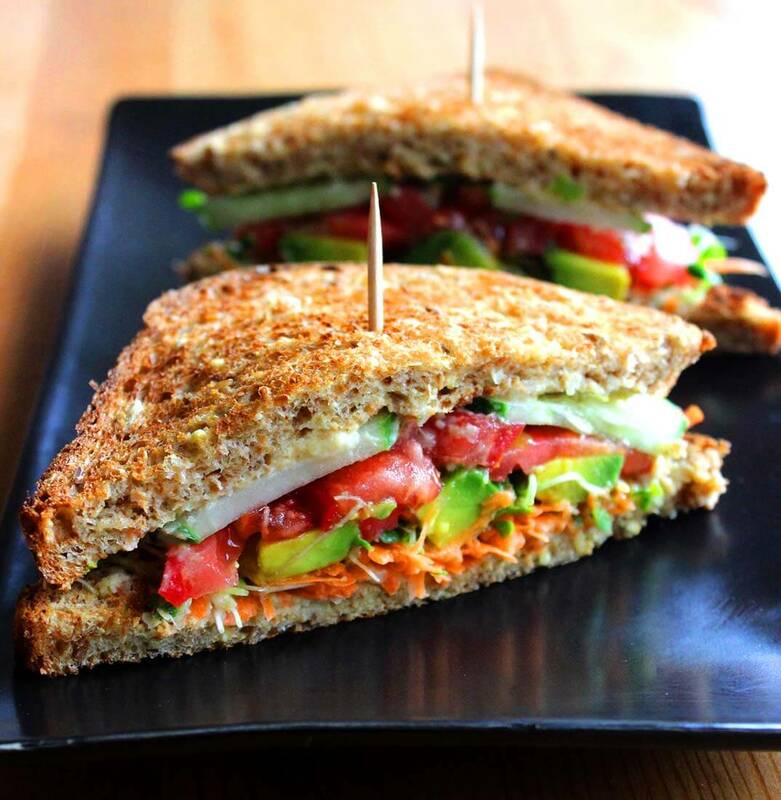 Fresheez recently added a range of nutritionally balanced sandwiches, porridge, soups, and garden-fresh salads for busy professionals as an alternative to unhealthy fast foods available in the market. 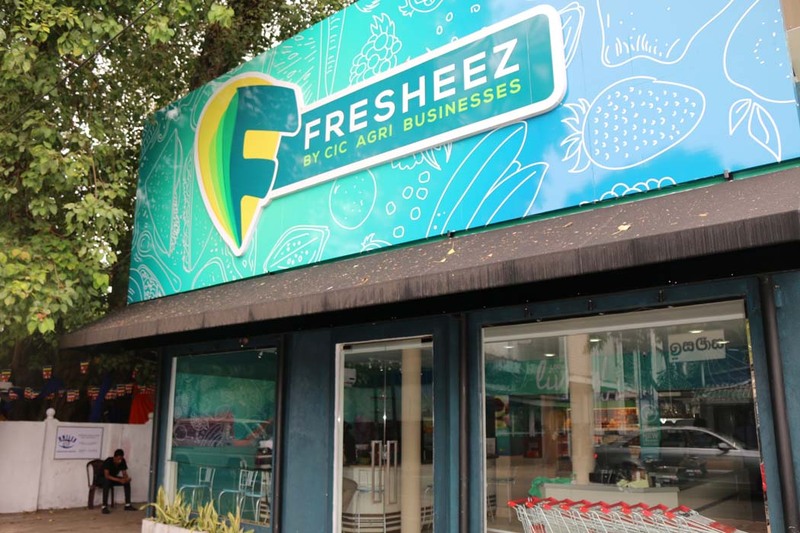 Fresheez has 10 outlets located in Colombo, Kandy, Dambulla, and the Southern Expressway. CIC Dairies is involved in the collection of fresh milk, processing, and marketing of dairy products while developing the dairy sector. The company applies the highest standards and best practices in all its business activities to ensure the enhancement of farmer incomes and judicious use of natural resources, while ensuring environment sustainability. 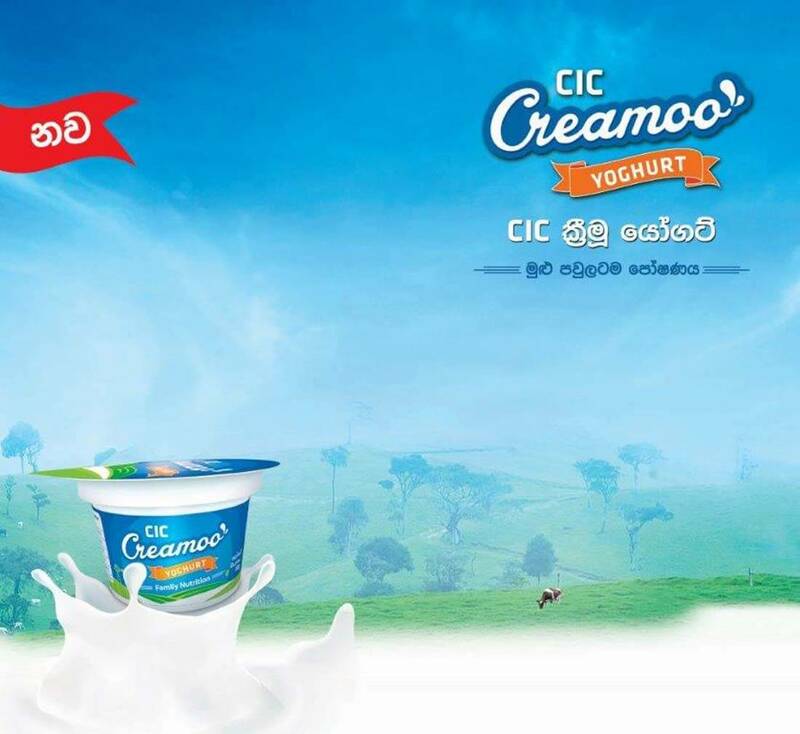 CIC Dairies works with a strong commitment to improve the rural economy and to contribute towards the development of agriculture in Sri Lanka with the goal of transforming the island towards a well-nourished and healthy nation. To collect milk from our own farms and from out grower network of small dairy farmers and process using state- of- the art technology and under hygienic conditions to produce tasty & nutritious high quality dairy products for consumers and contribute to the nutrition enhancement of the nation at an affordable price with a view of improving the living standards of people while securing the interest of the stakeholders. 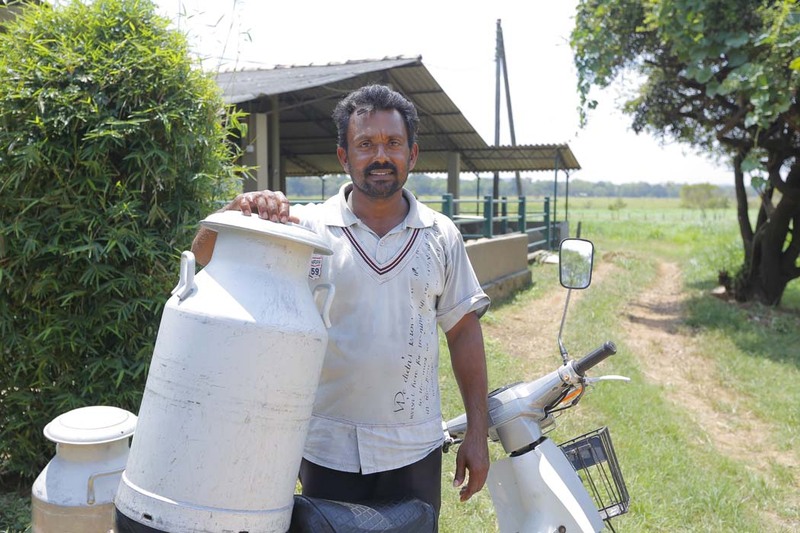 With its vast experience in the agricultural and dairy farming industries, CIC Agri Businesses commenced a small-scale dairy processing facility at the Siddhapura CIC farm in 2009. 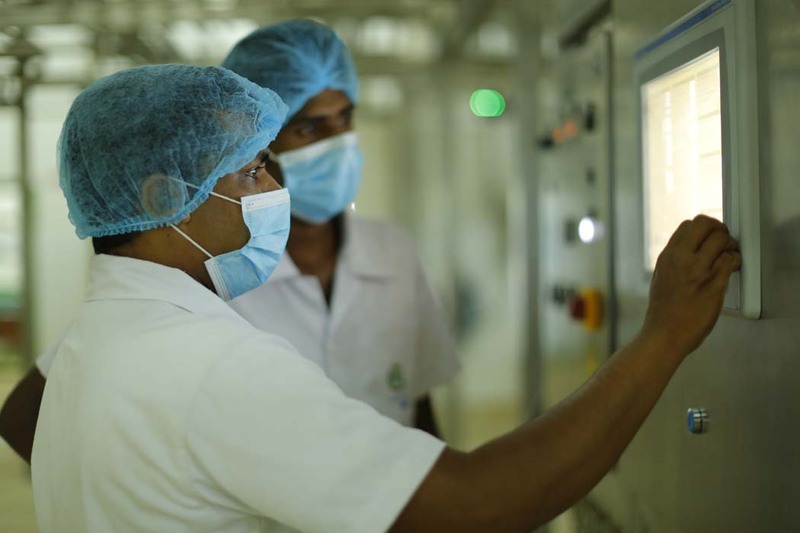 Considering the growing demand for dairy products, a state-of-the art dairy processing facility was established in Dambulla in 2013 with an investment of Rs. 650 million. 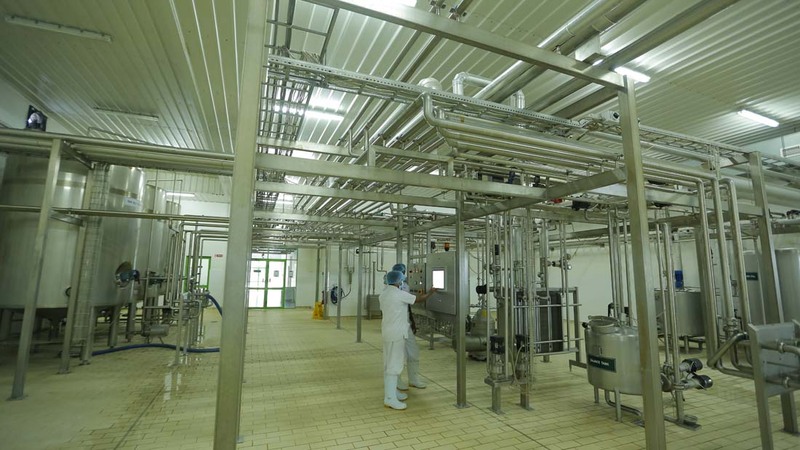 The two main objectives of establishing this facility were first, to diversify the dairy product range and second, to increase production capacity of high quality dairy products with the intention of supplying its consumers on continuous basis. 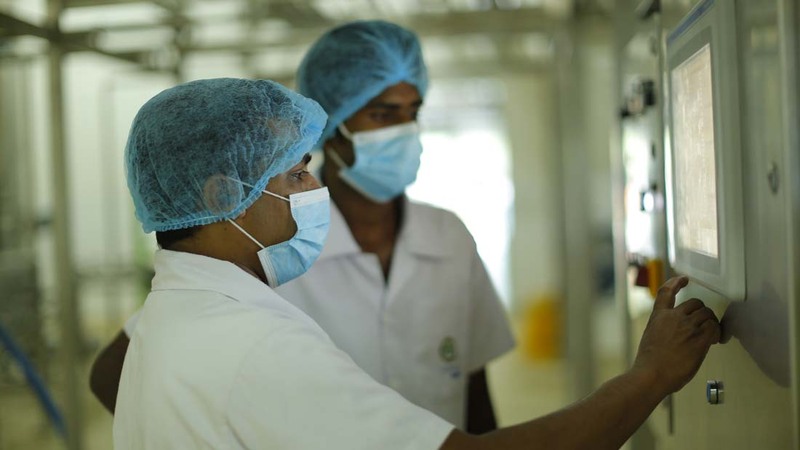 CIC Milk Processing Facility at Rangiri Dambulla is certified for SLSI ISO 22,000. 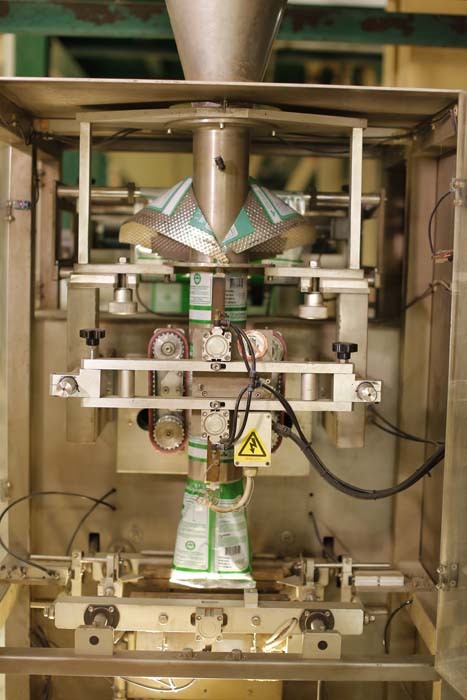 The company collects quality fresh milk from CIC’s own farms and from more than 4,000 small dairy farmers. Technical supports is provided by the CIC Dairies to these farmers to improve productivity of dairy farms and quality of milk. We generate employment opportunities for the local women and youth in the surrounding areas to enhance the regional economy and standard of living of people. 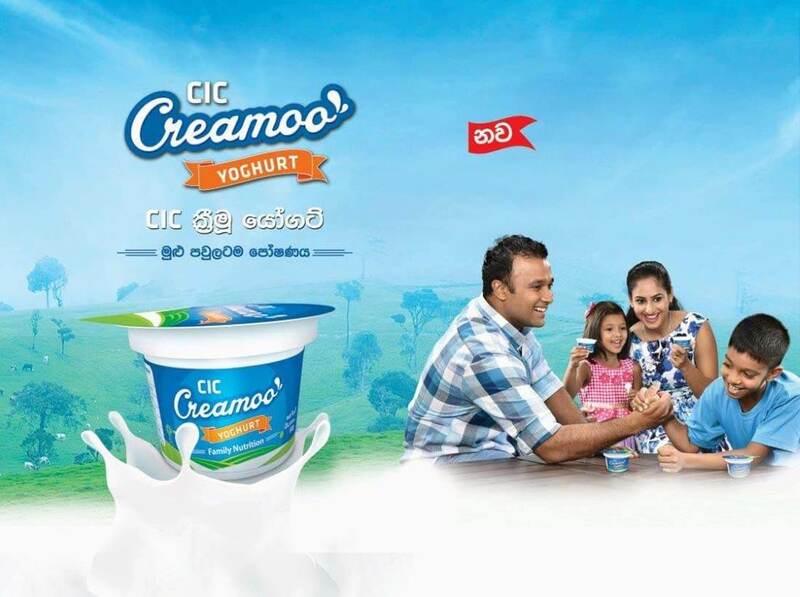 CIC Dairies concentrated its efforts on R&D activities to develop and produce high quality variety of dairy products such as yoghurts, Drinking Yoghurt and Buffalo Curd with different tastes, flavors and sizes to suit the consumer preference. 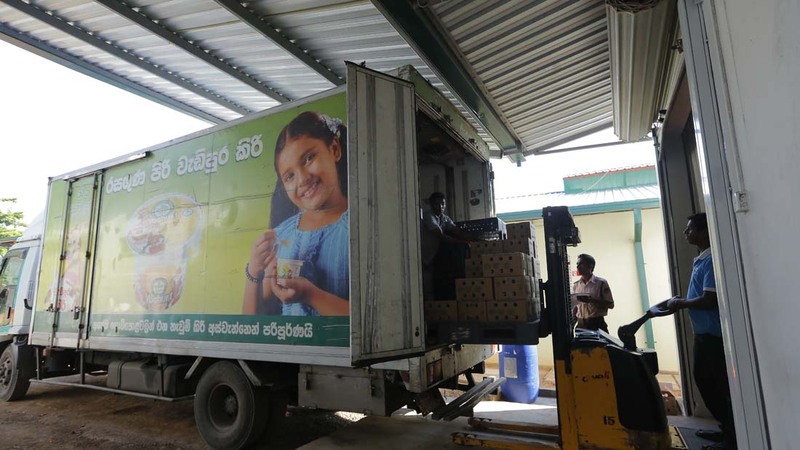 An island-wide distribution network is in place to market dairy products to cater all segments of the market. 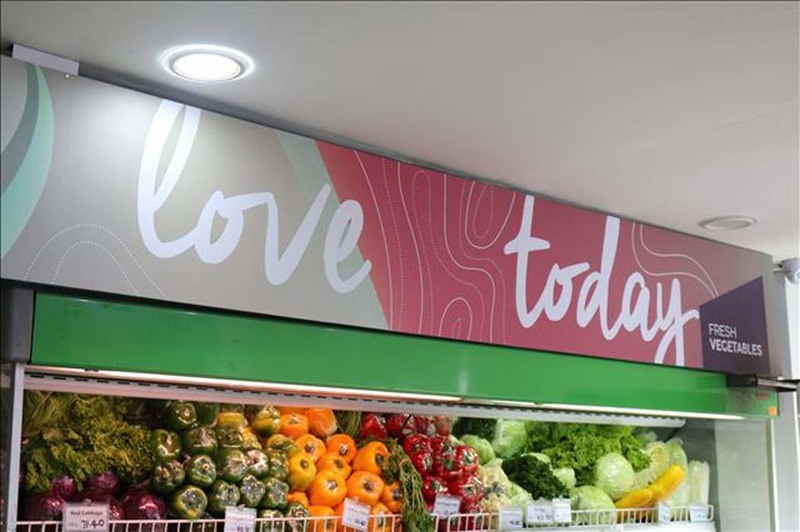 This distribution network is equipped with refrigerated storage and transport facilities that ensure the products maintain freshness and quality until they reach the customers. High quality dairy products are also exported to neighboring countries on a limited scale. 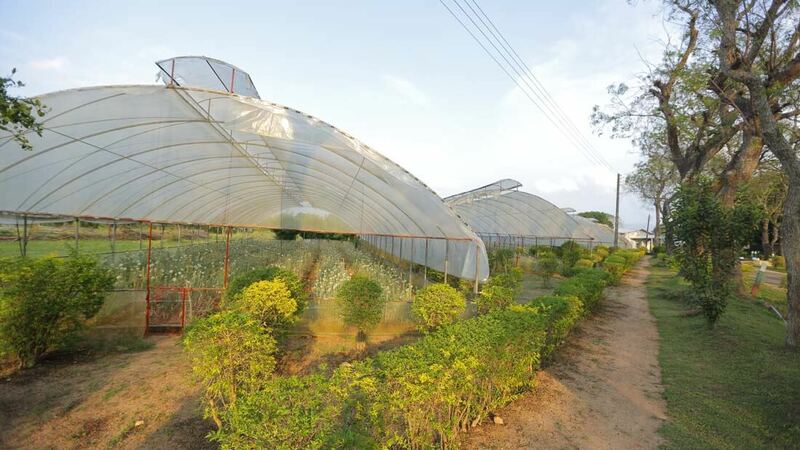 CIC Holdings has been at the forefront of Sri Lanka’s Agriculture Industry. Agriculture is by far the largest industrial sector in Sri Lanka, with approximately one third of the population employed in it. Agriculture holds a special place not only in Sri Lanka’s economy, but in its culture and traditions as well. 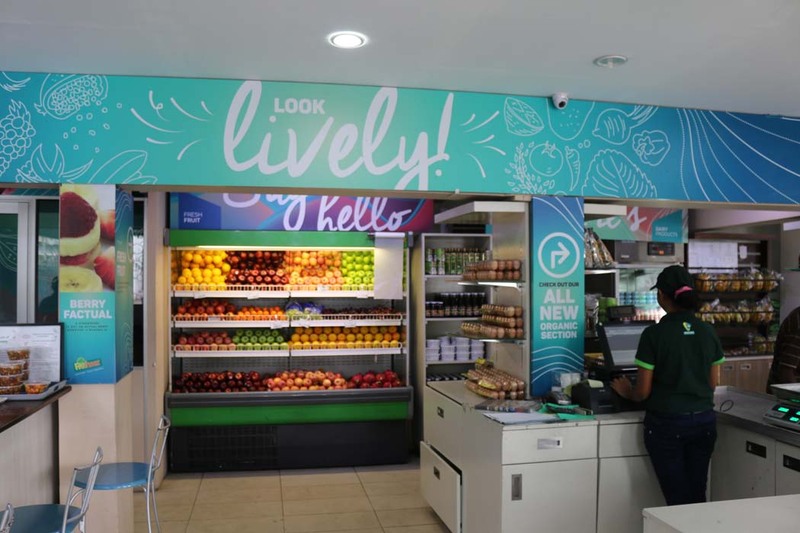 CIC Holdings has taken an approach to farming that looks not only at the bottom line, but the upliftment of rural farmers as well. CIC’s most significant farms, in terms of size and output, are the Hingurakgoda Farm, the Pelwehera Farm, and the Malwanegama Thalawa Farm. 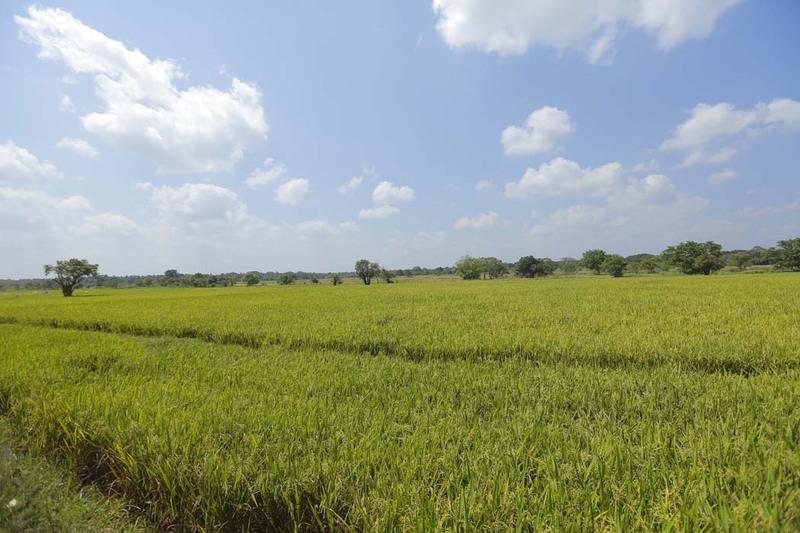 Hingurakgoda in the Polonnaruwa District has traditionally been one of the most famous areas for paddy cultivation in Sri Lanka. CIC acquired the 1,340 acre farm in 1998 from the government on a long-term lease agreement. Of the 1,340 acres, as much as 750 are being used for paddy cultivation. Hingurakgoda farm is best known for its cultivation of seed paddy, and is the largest seed paddy production farm in Sri Lanka. The farm’s main source of water is the Minneriya Reservoir. The highland area of this farm is used for the production of perennial crops as well as livestock, making it a multi-discipline farmland. This farm acts as a fine example of the adoption of modern agricultural technology and increased mechanisation and automation while protecting traditional farming knowledge and conventional agricultural methods. 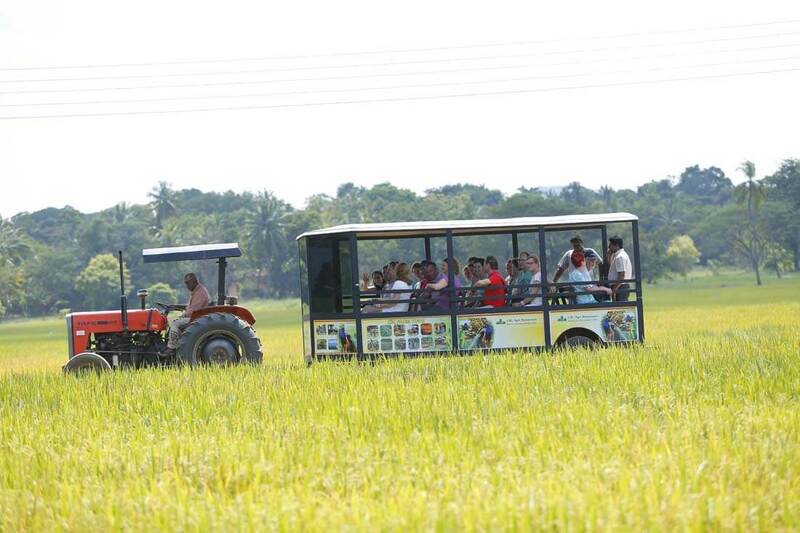 The 750 acres of paddy farms produces approximately 130,000 bushels of seed paddy to the local market every year. 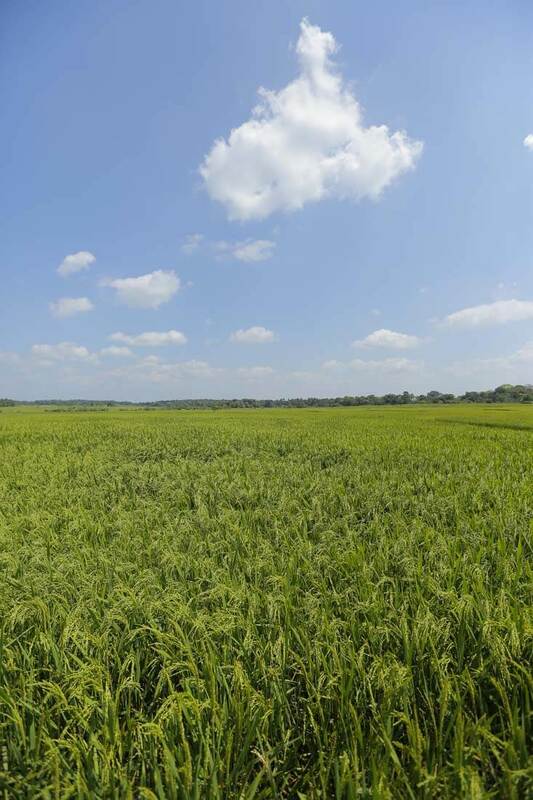 Ten popular varieties of rice are grown in the farm. Since acquisition by CIC , the farm’s average yield of paddy per acre has increased from 60 bushels in 1998 to more than 130 bushels at present. CIC employs an efficient network of outgrowers to produce high quality seed paddy that supplements farm production. Using the farm as a nucleus, these outgrowers are given technical knowledge and other forms of assistance. 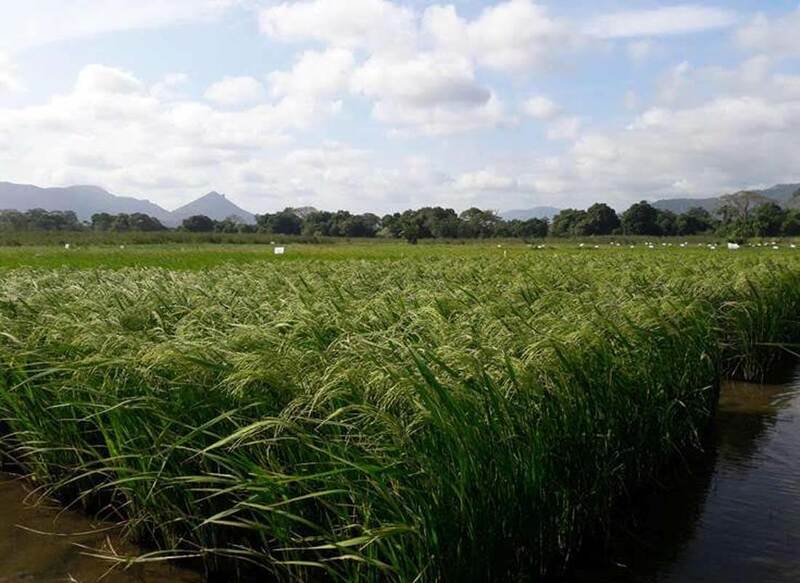 Seed paddy – produced within the farm and by outgrowers – is distributed throughout the Country using an island-wide dealer network. 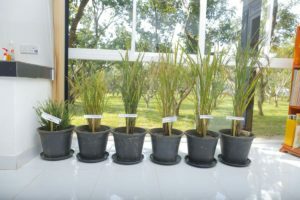 Special research trials are conducted in collaboration with the Department of Agriculture to test new hybrid varieties of rice. Drying is an essential process to ensure that seed paddy harvested is kept viable for a longer period of time, since 100% of the paddy harvested is used for seed purposes. A special drying facility is maintained at the farm to dry paddy under controlled conditions. Sun drying is also done, if the weather permits, as this method is more economically viable. The farm has the necessary infrastructure for drying and safe storage of seed paddy until it is distributed to farmers. Seed paddy produced in the farm is thoroughly cleaned to ensure international quality standards. The seed processing unit uses state-of-the-art seed processing machines imported from Germany. The farm has a processing capability of 4 tonnes per hour. 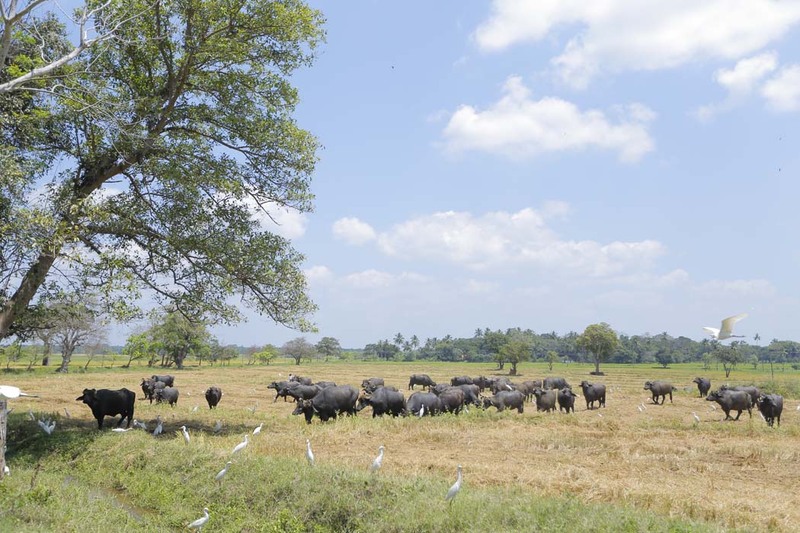 CIC’s farm in Hingurakgoda owns one of the best managed herds of buffalo in the country. This herd includes the high-yield breeds Murrah and Nili Ravi in order to ensure a good supply of milk. This farm also acts as a breeding farm for buffalo. CIC farm at Hingurakgoda produces the best quality buffalo curd that is made under strict conditions with regard to hygiene. Curd produced at this farm is very popular around the country and is sold in all reputed supermarkets. 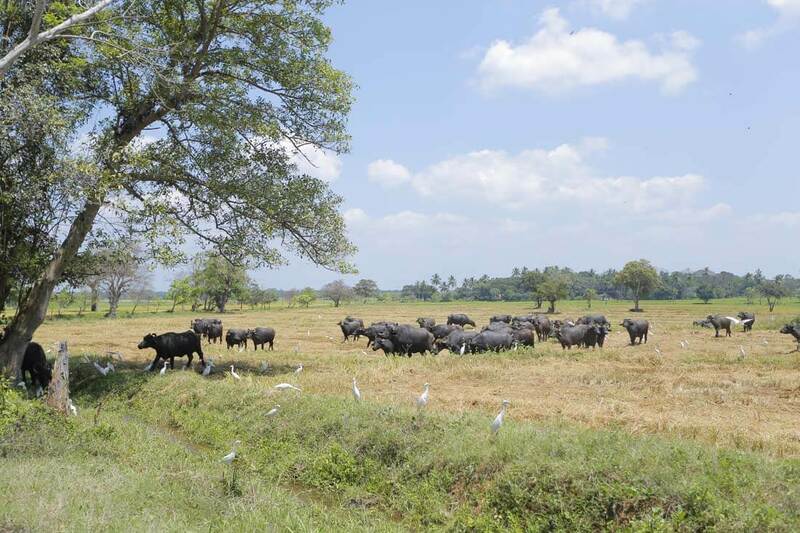 Furthermore, a 50-acre area of the farm is used to produce high quality fodder and high-nutrition grass is grown with the use of sprinklers to ensure good nutrition for the buffalo herd. 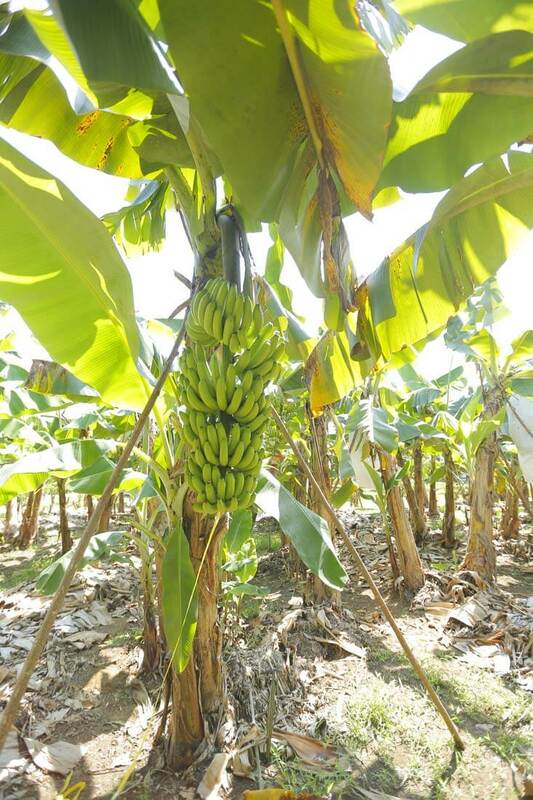 The farm has a banana plantation that covers an area of just over 50 acres. 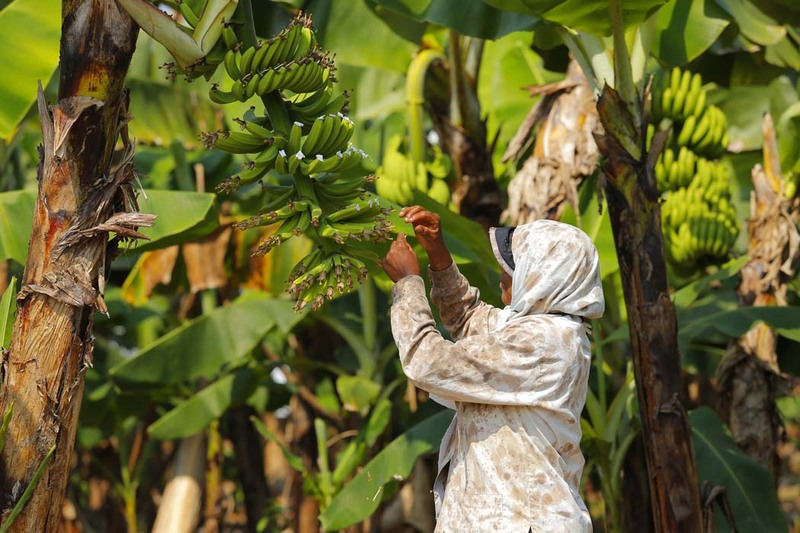 High quality bananas are grown for the export markets using modern technology and the latest agricultural methods. 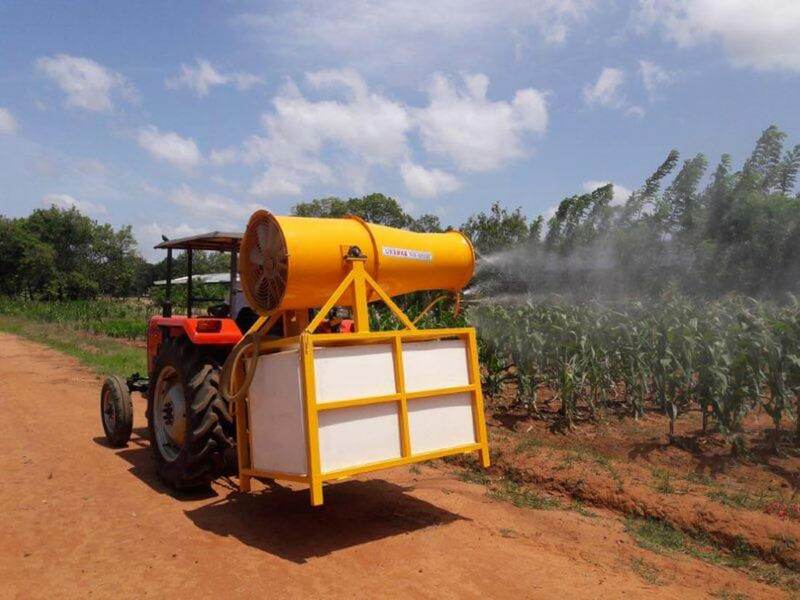 The farm uses a high-tech sprinkler system for the supply of water and fertiliser. 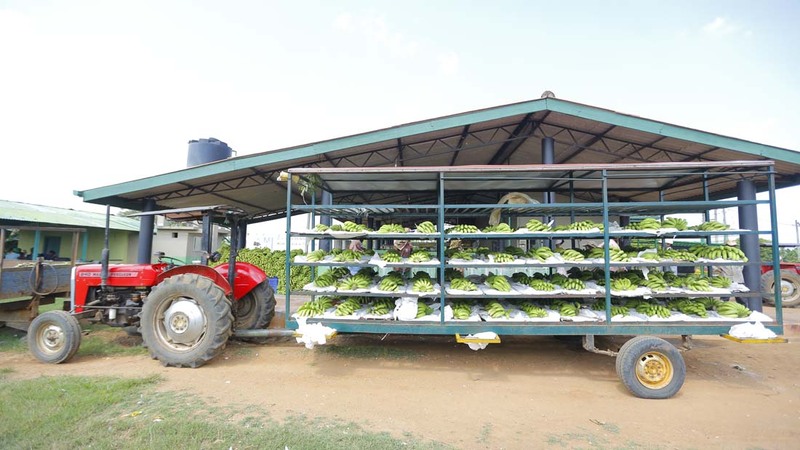 The plant nursery at the farm produces high quality fruit plants sold through the company’s sales outlets and dealers located throughout the island. The types of plant include mango, guava, orange, and lime. The farm’s mango plantation is one of the most important germ plasm collections in the Country. The Hingurakgoda farm has the distinction of being the location where the first plants of a few varieties of Sri Lankan mangoes were planted. This includes Villard, Karatha Colomban, Velle Colomban, Ambalavi, and Neelum. The Hingurakgoda Villard, a popular variety, has its origins in this farm. The farm has an area of 30 acres set aside for teak as a forest plantation. This area is set to be increased to 50 acres in the near future. The home garden is a display of what varieties of fruits, vegetables, spices, yams, and medicinal plants has been traditionally grown in typical dry zone home gardens. The farm has a programme to produce high-quality compost using waste bio matter – including buffalo dung – produced by the farm. This is both a sustainability measure and a best-practice. A part of the produced compost is sold in the market as an environmentally friendly fertiliser, while the majority is used in the farm to improve soil productivity and fertility. Charcoal produced by the combustion of paddy husks is used as a soil improvement agent that is useful in the preparation of land for paddy fields and vegetable cultivation. Charcoal is used to control the salinity of the soil and to improve the efficiency of the usage of fertiliser. The farm has a fully equipped machinery division that provides services to the farm and maintains agricultural machinery such as combine harvesters and combine threshers. 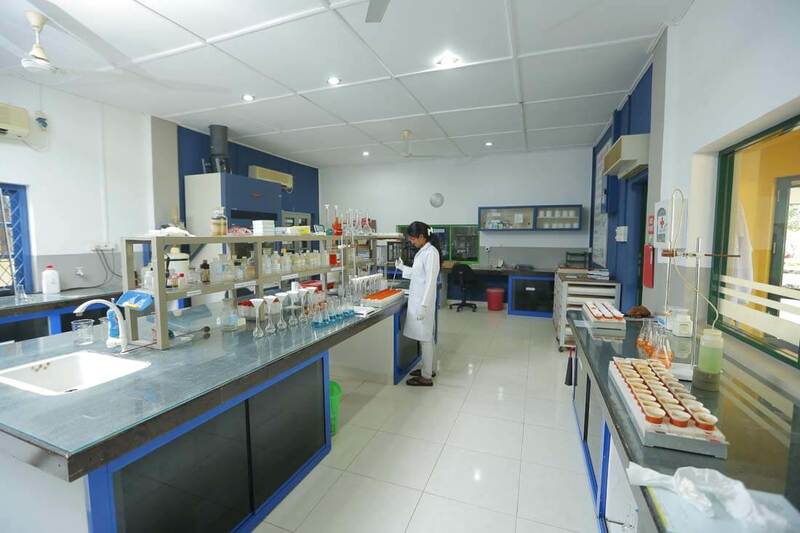 This facility also functions as a testing location for new agricultural machinery. The CIC Agri Holiday Resort was established in 2002 to provide a glimpse into the agricultural lifestyle, especially for city dwellers. Tours of the farm’s many facilities are possible from this resort. Most modern amenities are included in its 7 air-conditioned cabanas. The resort also includes a swimming pool, games facilities, a well-maintained garden, a bar and restaurant, and a meeting or reception hall. The resort’s location also makes it the perfect base to view some of the most interesting attractions in the area. 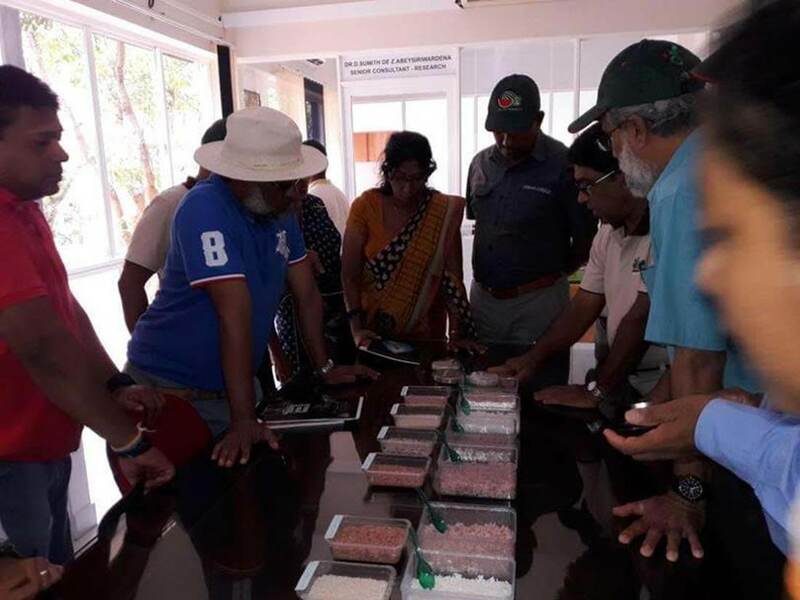 A special sales office has been established at the farm from where CIC’s agricultural products, including seeds, seedlings, and agro technology, can be bought. The sales office also provides special advisory services to customers. CIC acquired the Pelwehera Farm in the year 2000 under the prevailing government’s privatisation programme. 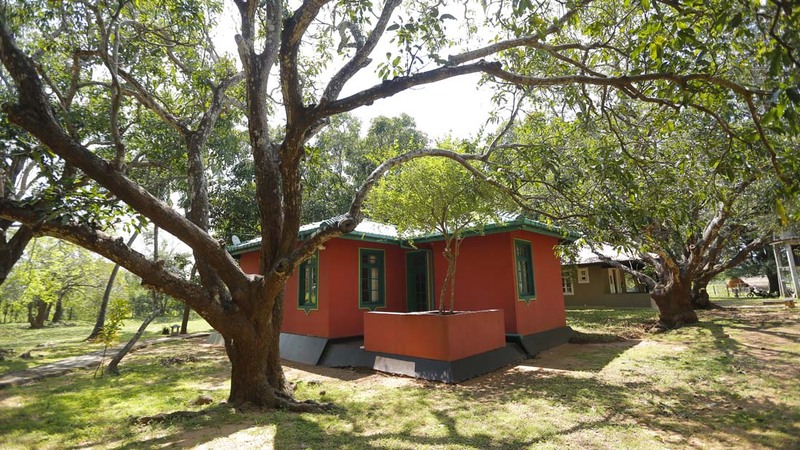 The farm is located 2 km from Dambulla and covers 634 acres. Owing to the farm being in an advanced state of disuse and disrepair when acquired, a Rs. 100 million infusion was provided to improve the infrastructure and facilities within the farm. Today, this is considered the most diversified farm in the country. 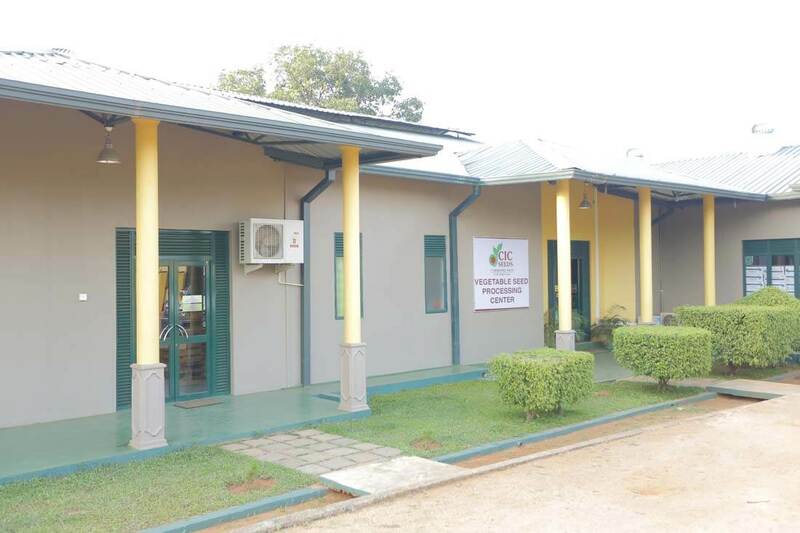 The Agribusiness Centre at Pelwehera established in the farm premises sells seeds and planting material, fertiliser, agro chemicals and other home garden equipment. A qualified member of staff is stationed at the centre to provide advisory services to walk-in customers. 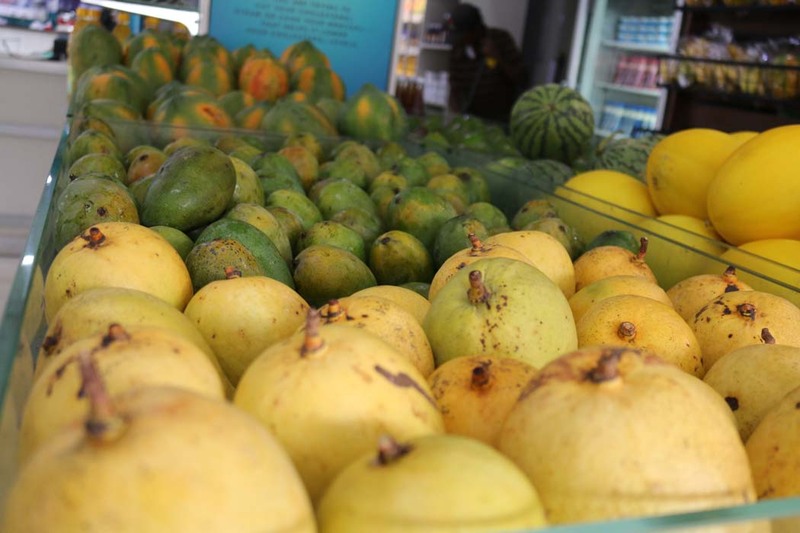 Mango Germ Plasm Collection – the oldest in the country, with around 22 different varieties. 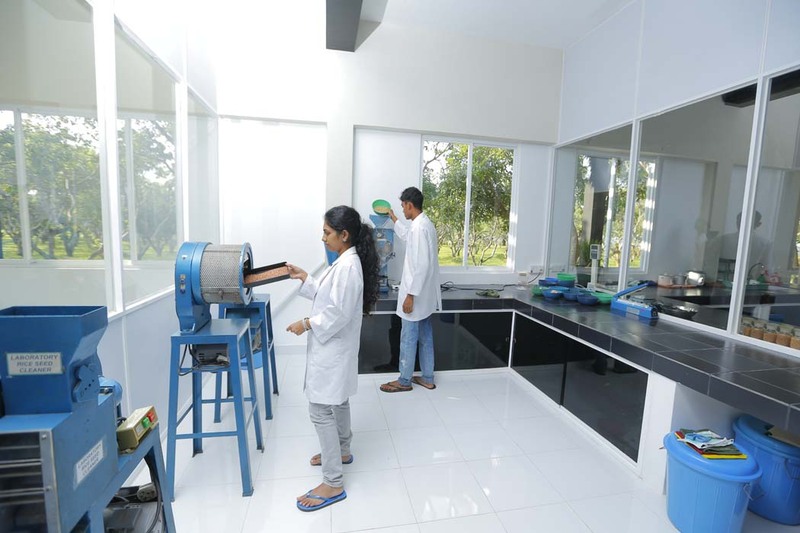 Agri Technology Park (ATP) – Consisting of several units, this has been created to benefit those who are interested in agriculture. 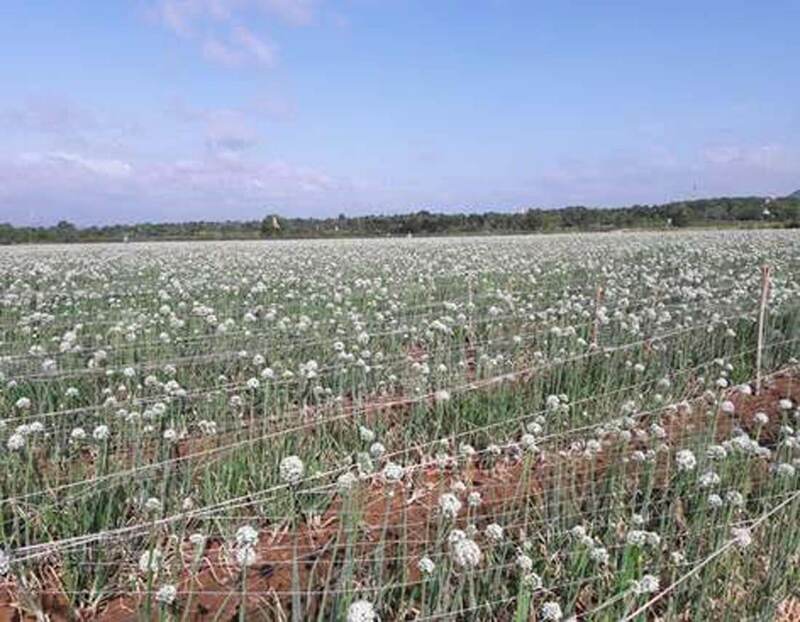 Big Onion Seed Production – established to provide quality seeds to farmers throughout the country. 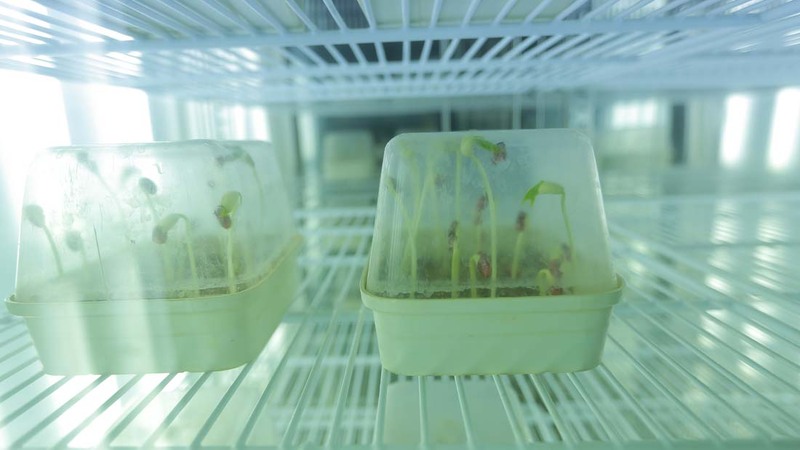 Tissue Culture Laboratory – To produce tissue culture planting material of fruits and ornamental plants. 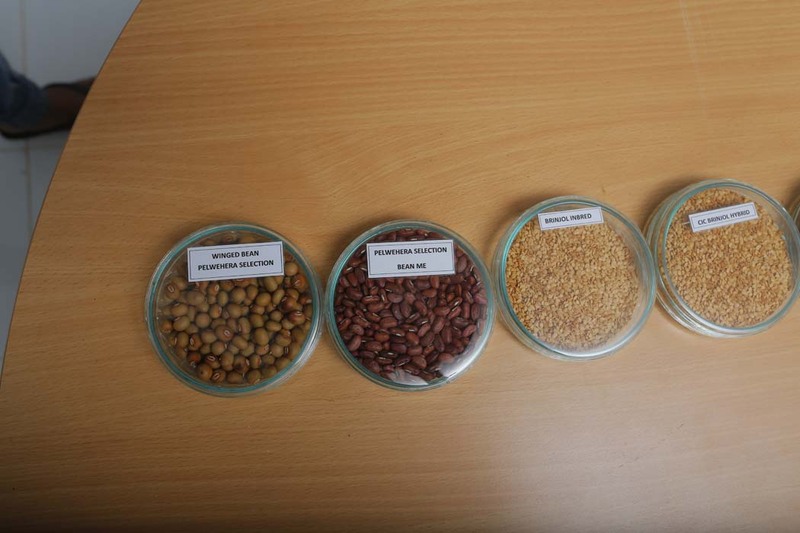 Seed Testing Laboratory – The first of its kind in the country; this is where quality of seeds is tested. 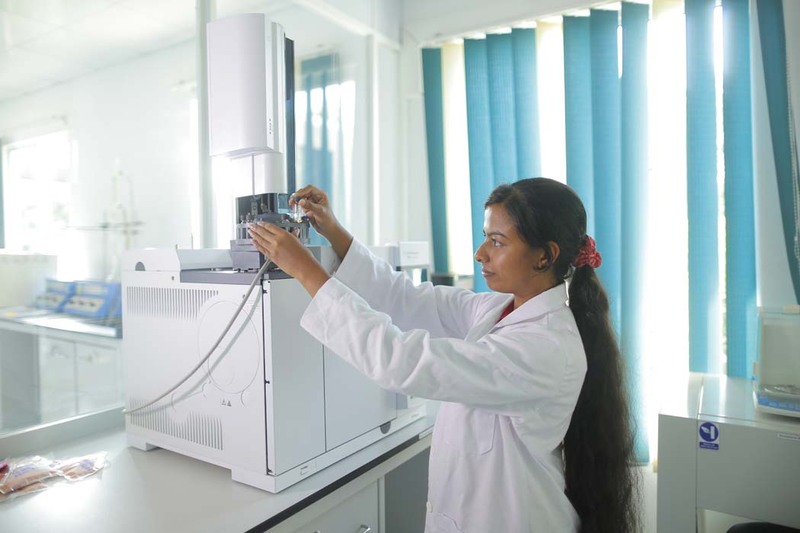 Rice Quality Testing Laboratory – Supports the Paddy Breeding Programme and Quality Rice Programme. 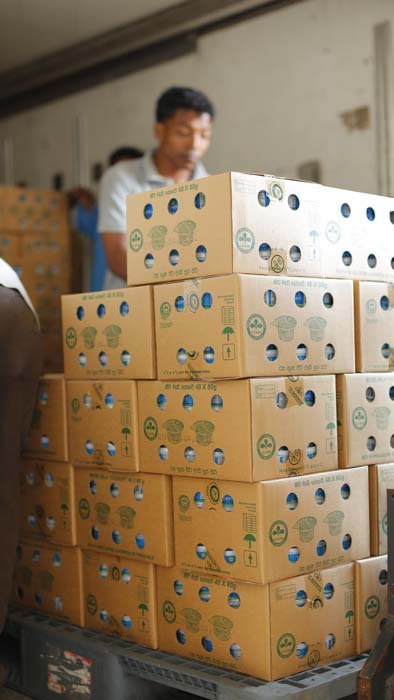 Pack House – All produce is released to the market through the centralised pack house. Sorting, grading, and packaging of all produce are done here before being released to distribution channels. Storage Complex – For storing agri inputs such as fertiliser, seeds, and agro chemicals. 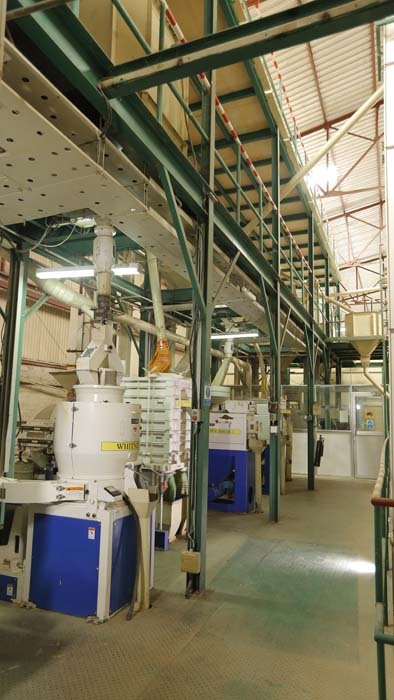 Vegetable Seed Processing Unit – Where all varieties of seeds are dried and packed using the latest technology. There are four cold stores for local and imported seeds. High Density Mango Plantation – A trial plot where Villard mango trees are planted closer together to test performance. 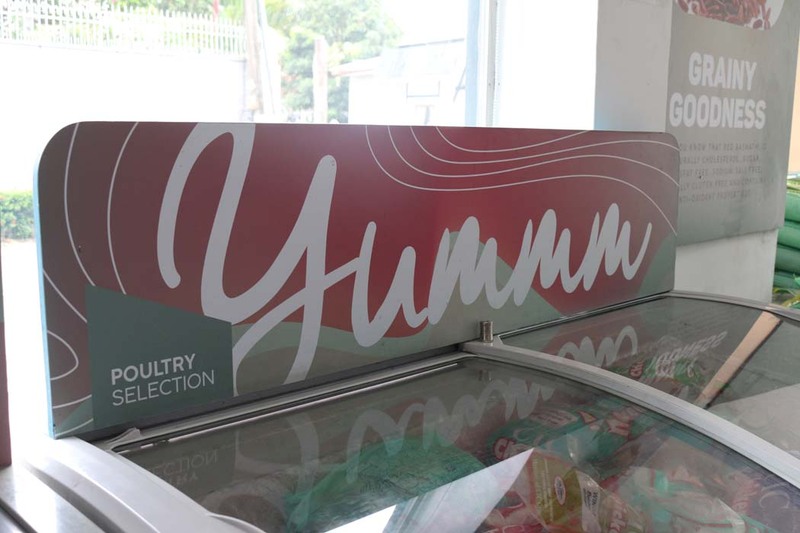 Poultry section – A total of 25,000 layer birds with an annual production of 6 million eggs that are sold around the country. 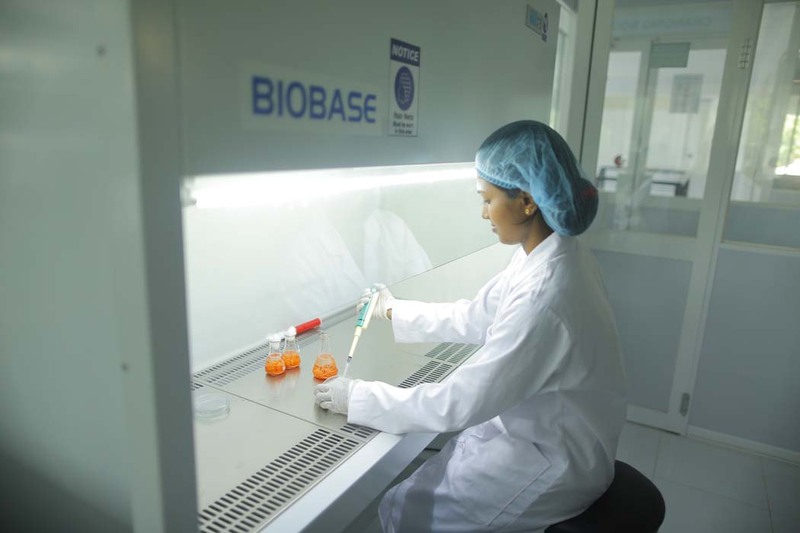 Research and Development Unit – Research on produce quality, inputs, and management practices are done here. Collaborative research with universities and international companies is also carried out with the aim of improving the farm’s productivity. 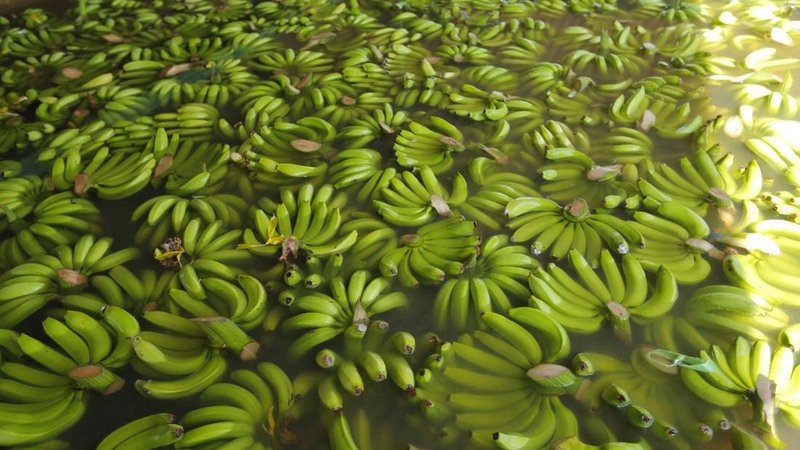 Banana Plantation – 150 acres of bananas grown using micro-irrigation techniques. Plant Nursery – Maintained to raise planting material of fruits, vegetables, and other plants. Seed Paddy Production – Several varieties of seed paddy are grown in an area totalling 125 acres. Water is obtained from the Kandalama reservoir. 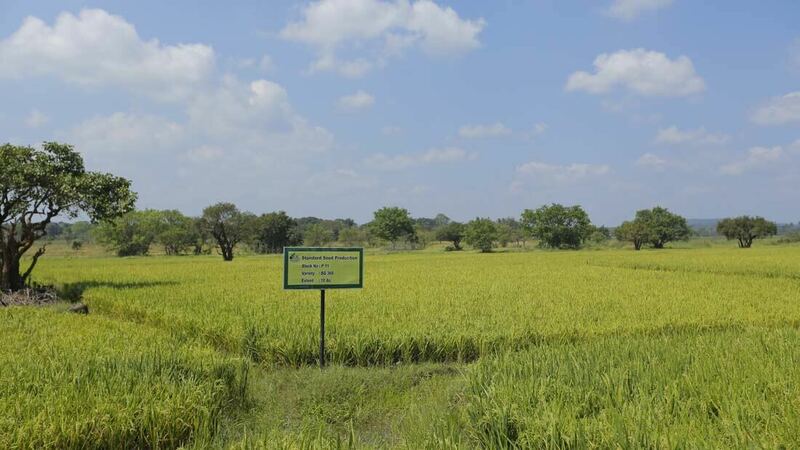 Paddy Breeding Section – Sri Lanka’s first private sector paddy breeding programme that plans to introduce new varieties of paddy. Freshwater Fish – Demonstration ponds to show how to produce freshwater prawns and fish. Cashew Plantation – An 80 acre plot of land in the most water-restricted area of the farm. Coconut seed garden – A 35 acre area that produces high quality mother coconut for raising seedlings. Forest plantation – a 10 acre teak plantation. 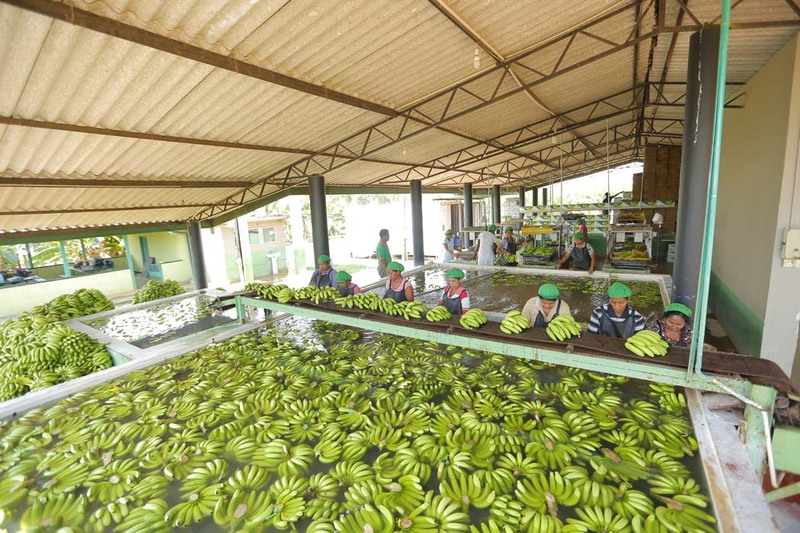 Banana Packing House – This facility is used to pack bananas for the export market with a capacity of 20 MT per day. 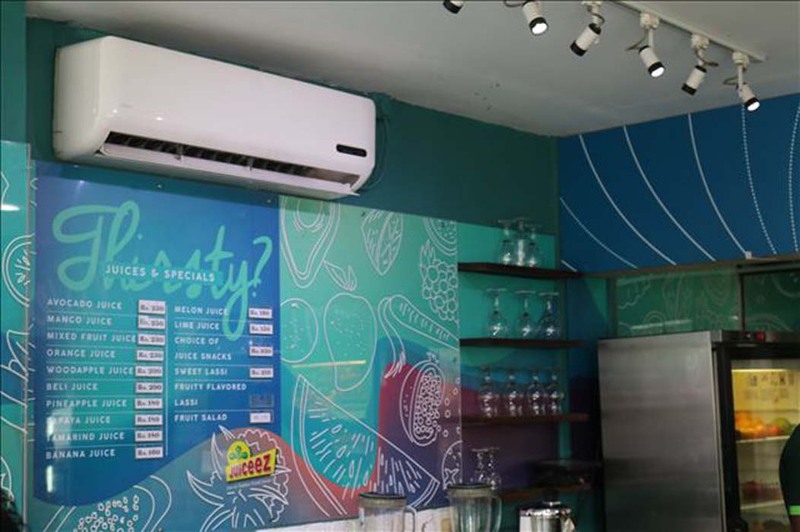 Juiceez – A fruit juice sales outlet at the farm entrance that is a part of the Agri Produce Retail Chain. Planting Material Display Centre – Planting materials such as fruits, forest plants, herbals, and ornamentals are displayed for visitors. Poly tunnel cultivation – used for year-round cultivation of vegetables. Herbal Garden – A collection of valuable herbal plants is on display in this area. Artificial Forest – Area allocated for an artificial forest. 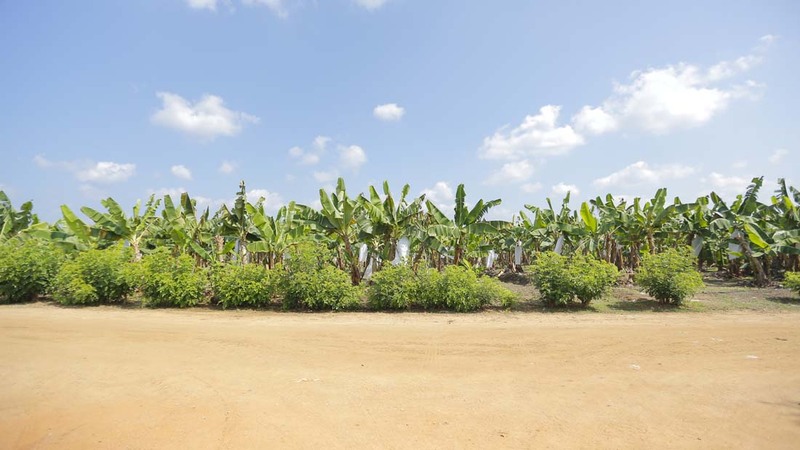 Banana Mother Plant Orchard – The collection of materials from several varieties of banana is done here, to obtain materials for the Tissue Culture Laboratory. Mango Mother Plant Orchard – This is used to get shoots for the production of high quality mango plants. 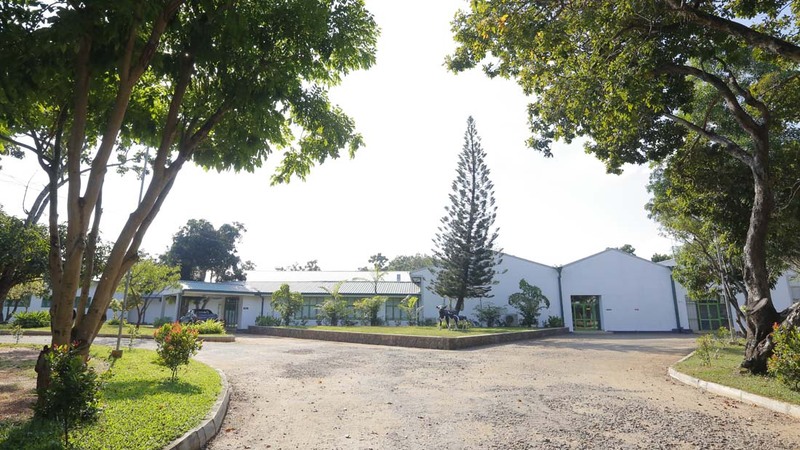 Auditorium – A facility used mainly to conduct farmer training programmes. Hybrid Vegetable Demonstration Area – hybrid vegetables sold by the company are cultivated to display their potential for potential buyers. CIC Seeds (Pvt.) 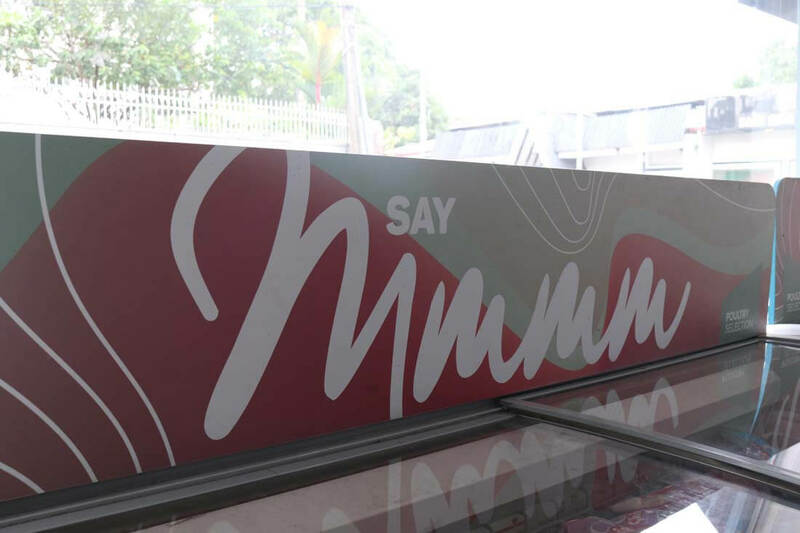 Ltd. acquired the management of the farm in Malwanegama, Thalawa on a long-term lease. 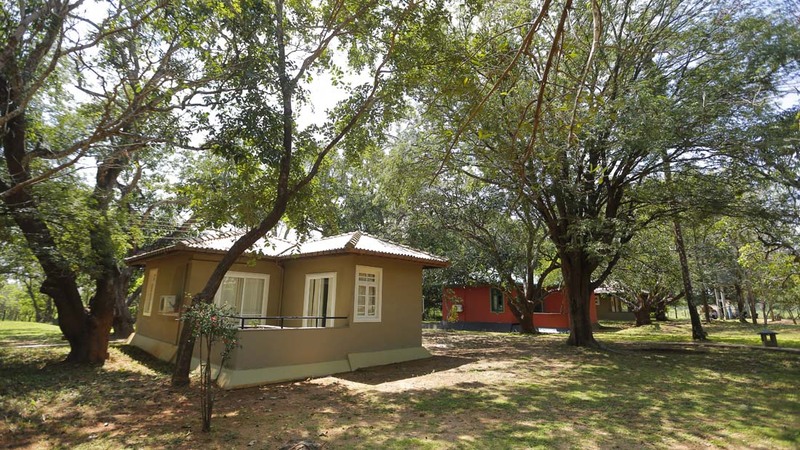 The farm is located between Thambuttegama and Thalawa in the Anuradhapura District in the North Central Province. 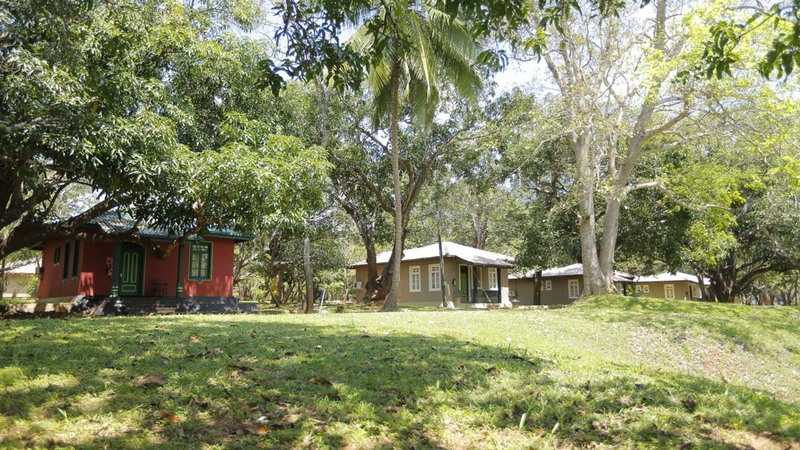 The farm is located approximately 6 km from Thambuttegama on the Kurunegala-Anuradhapura highway. This agricultural centre handles the supply and coordination of agricultural inputs such as fertilisers, chemicals, planting materials, micro-irrigation systems, poly-tunnels, agricultural machinery, etc. An agriculture advisory service is also provided for walk in customers. This farm contains a newly commissioned state-of-the-art corn processing and storage facility with a capacity of over 25,000 tons. 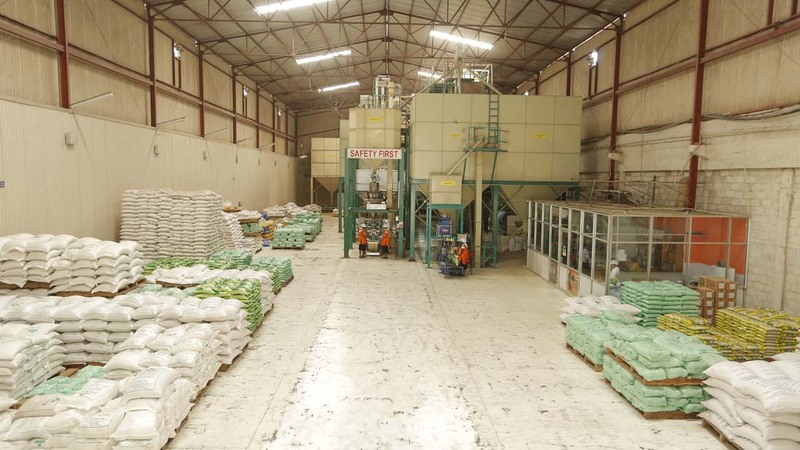 This facility produces high quality corn used solely for animal feed formulations. A total of 105 acres of land is used for seed paddy cultivation with the aim of providing seed paddy for the entire Country. 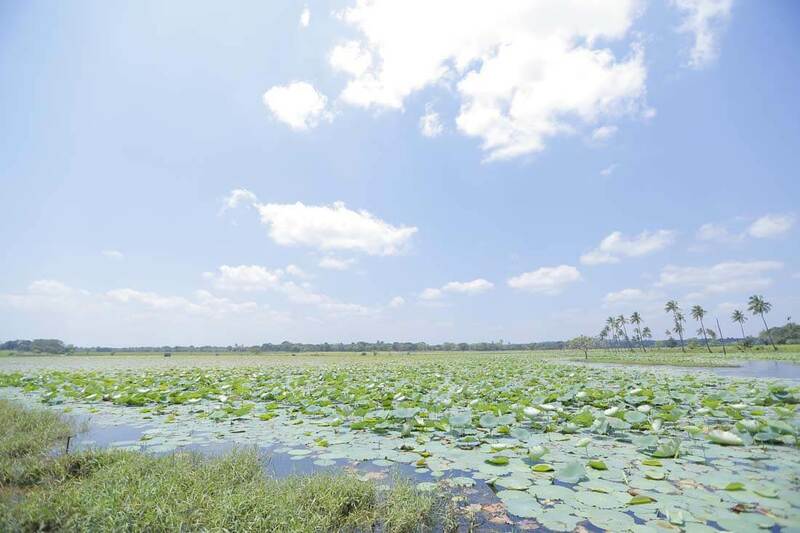 As the farm is situated in the Mahaweli H zone, irrigated water is provided from the Kalawewa reservoir. 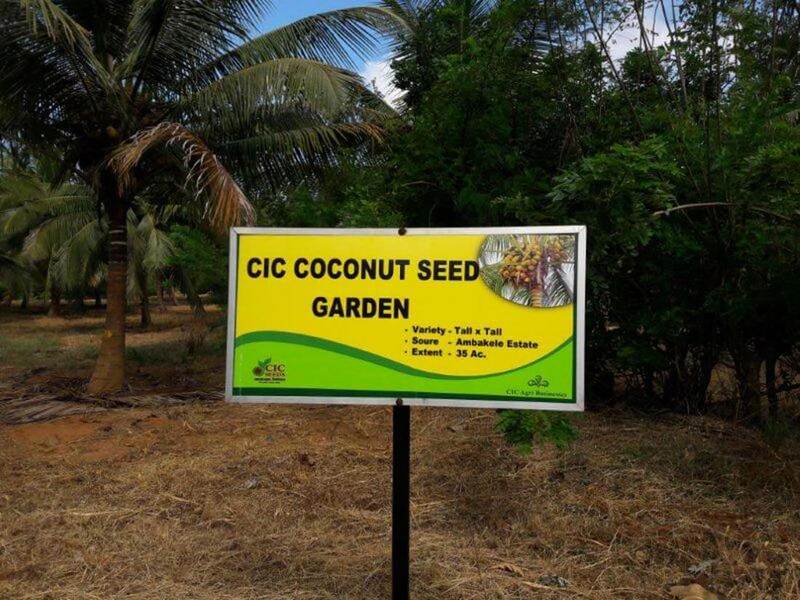 A plant nursery is maintained at the Thalawa farm with the aim of producing planting materials for fruits, forest plants, and other ornamental plants, all sold under the CIC brand. Plants produced in this and other CIC farms are available for sale. Also available for sale are coconut plants and tissue-cultured banana plants. Grafted fruit plants, especially mango plants of which there are many varieties, are the most popular. 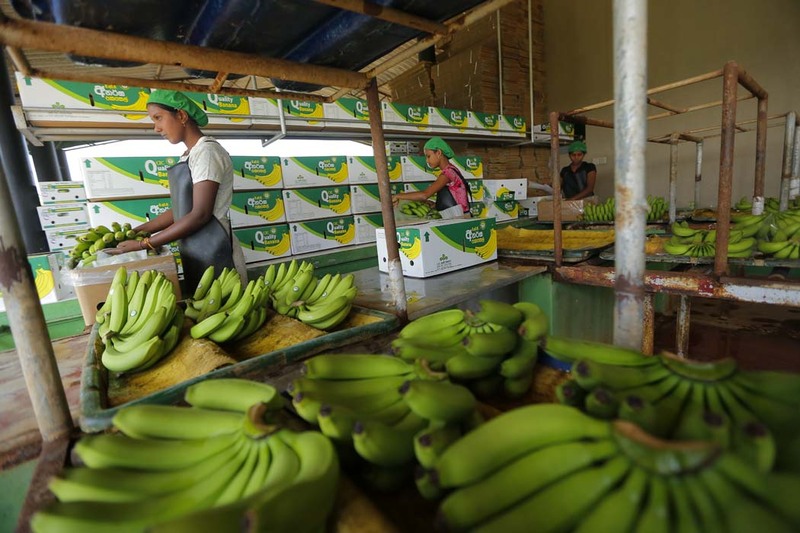 CIC Agri Businesses (Pvt) Ltd. is involved in producing high quality bananas for local and export markets using modern cultivation technologies. The Banana (Genus Musa) is thought to be native to South and South East Asia. It plays an important role in the international fruit industry. Bananas are by far the most popular fruit in the world, and there is no other fruit that is cultivated or traded more extensively. From its origins in Asia, bananas were introduced to all tropical and subtropical regions of the world, and the fruit gained prominence as a source of energy and nutrition, which in turn accounted for its popularity around the world. Bananas are known to give an instant, sustained, and substantial boost of energy. It has been found that two bananas can provide enough energy for a strenuous 90 minute workout. This is one of the main reasons bananas are highly prized by world-class athletes. Bananas are also a prime source of dietary fibre and potassium, a much needed mineral for the human body. In Sri Lanka, bananas are the most prominently cultivated fruit. 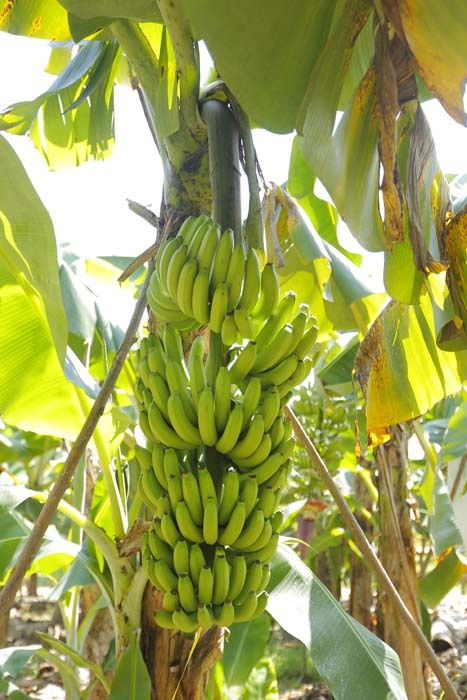 It has been estimated that as much as 55% of fruit cultivation – in terms of land area – is used for bananas. 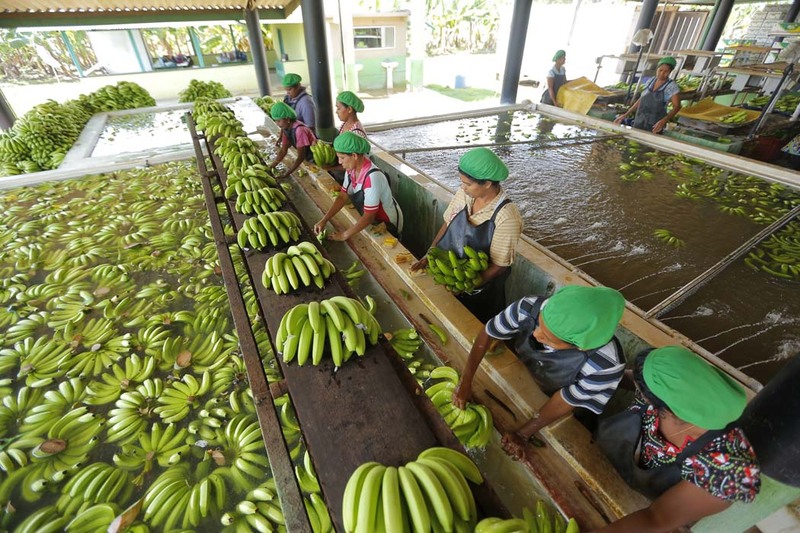 Banana productivity in Sri Lanka is around 13 MT per hectare, a poor yield compared to the rest of the world. 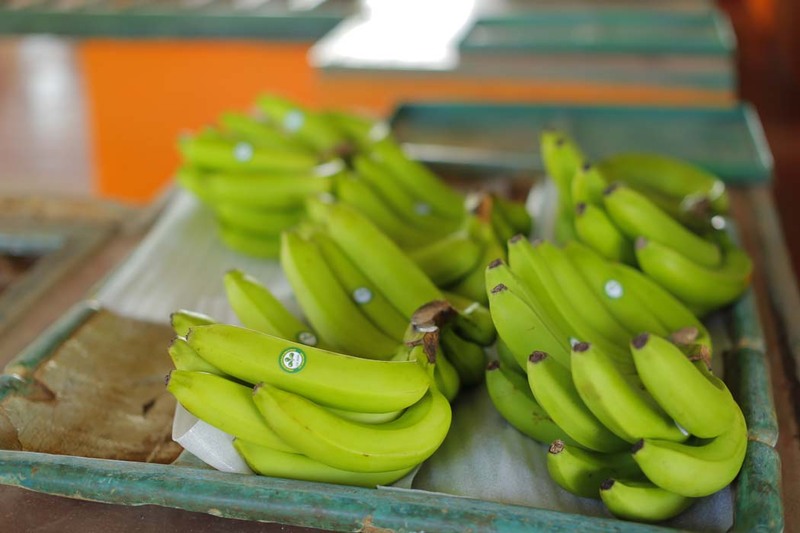 It is estimated that this can be increased to the range 45-50 MT per hectare with the use of proper management systems, and the extensive use of high-yield varieties such as Cavendish bananas, which are the most popular (and sometimes the only) variety in most countries in the world. 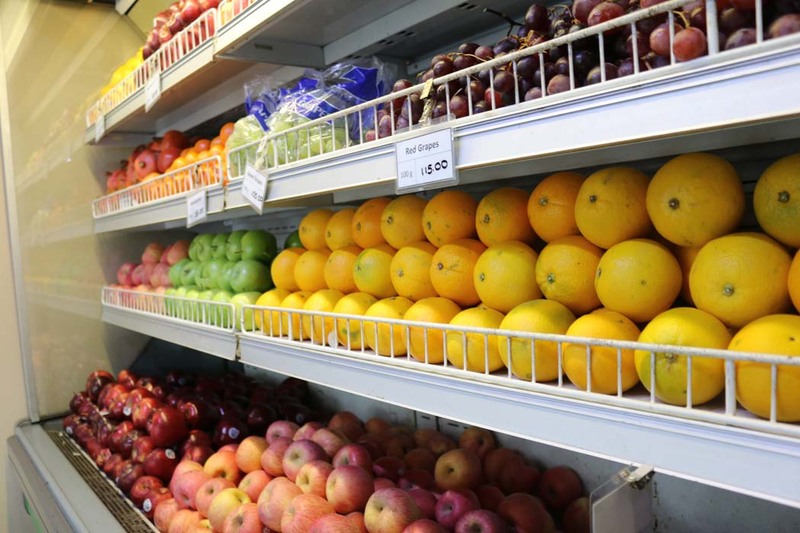 There is an opportunity to fill this gap in productivity and supply high quality fruits for the export and domestic markets. The Middle East is a prime export market for CIC bananas. 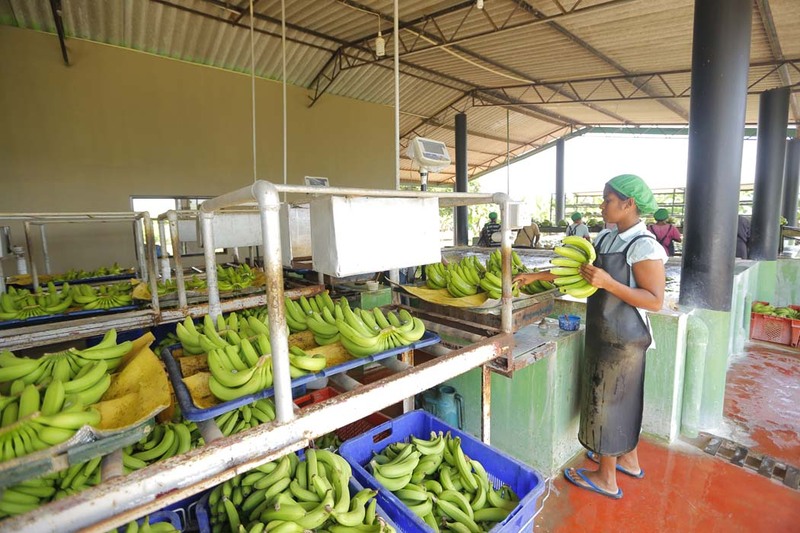 CIC produces and sells approximately 3,000 MT of Cavendish bananas every year (exports and local markets included). 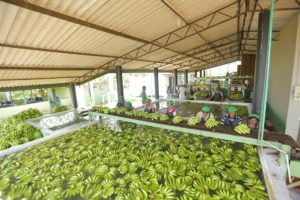 Demand for high quality bananas has been on the increase, and CIC seeks to collaborate with exporters and outgrowers to grow Cavendish bananas. Another initiative taken by CIC is to embark on contracted orchards to grow Cavendish bananas to meet the demands of this growing market. 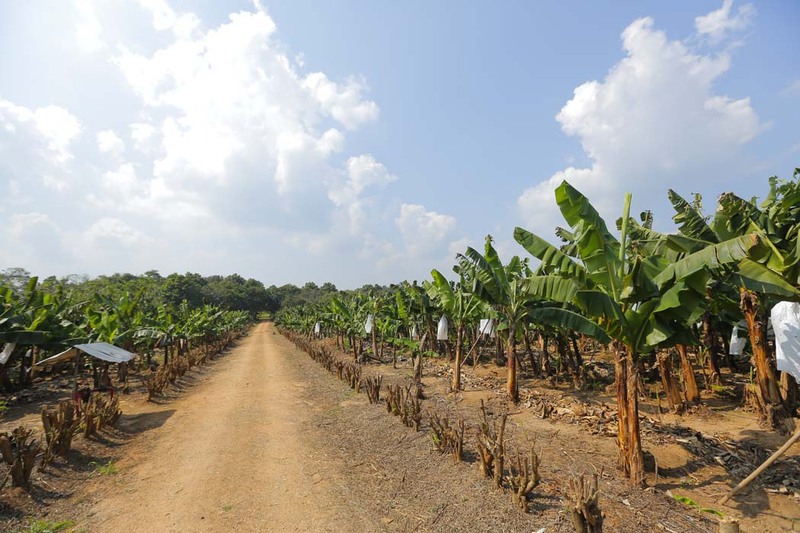 Cavendish bananas are cultivated in CIC Farms at Hingurakgoda and Pelwehera. There are plans to extend the plantation of bananas to other parts of the island. CIC RanSaruPala, also known as Golden Harvest, is a business initiative that was started by CIC with the aim to work towards self-sufficiency in corn and to uplift the living standards of rural corn farmers. 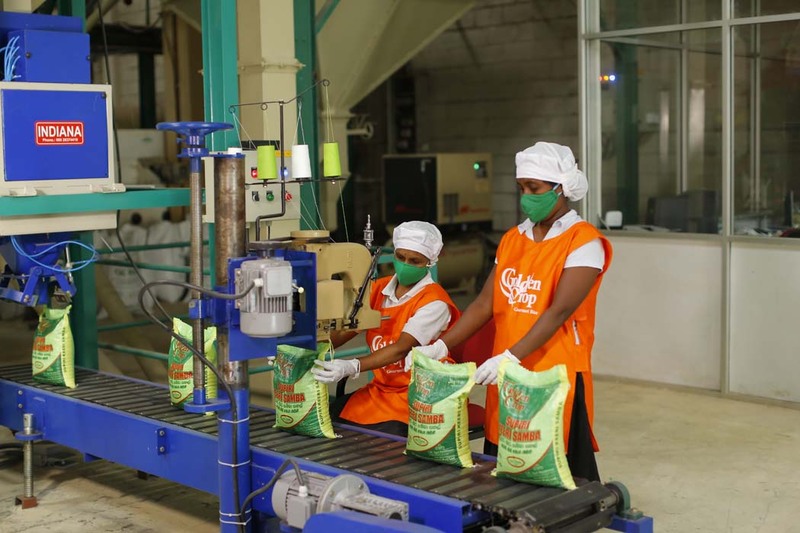 Business-wise, Golden Harvest aims to supply high quality corn for feed millers in the country. It has been identified that Sri Lanka’s feed industry requirement stands at about 360,000 MT per annum. At best, local production is in the 200,000 MT – 240,000 MT range, which leaves a deficit that at present needs to be imported in order to meet the requirement. Annual demand in feed has seen rapid growth over the past few years, with a 14% increase from 2011 to 2014. CIC’s Golden Harvest Project was implemented in this high-growth environment with the aim of bridging the gap between current corn production and increasing demand. The Golden Harvest Project is a Rs. 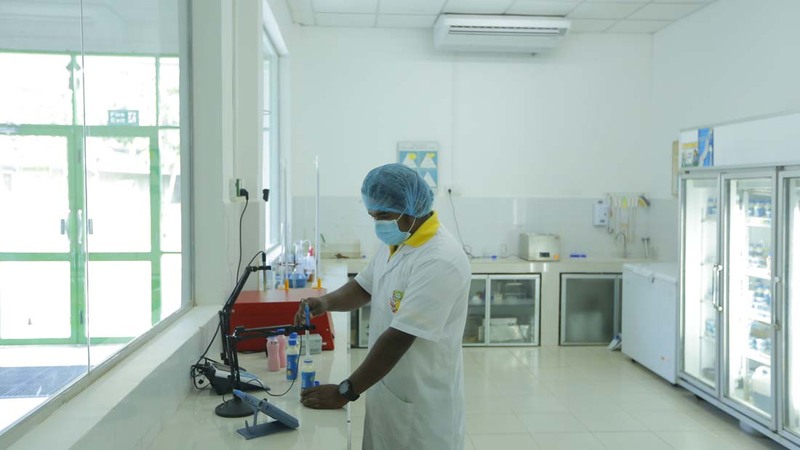 2 billion investment (fixed and working capital) that was established in the Anuradhapura and Monaragala districts, with the first harvest recorded in September 2015. Two main maize processing factories have been set up in these locations with a capacity of 400 MT per day. Each facility has state-of-the-art drying and storing facilities, with a drying capacity of 20 MT/hr and a total of eight 4000 MT silos. The two facilities have a total annual capacity of 50,000 MT. In the first season of operation (Maha season, in September 2015), 25,000 MT of corn has been purchased from farmers. The Golden Harvest Project has introduced the Grow More concept, which includes providing farmers with concessionary rate loans of up to Rs. 25,000 per acre in collaboration with Hatton National Bank PLC, the financial partner of this project. The Grow More concept also includes all inputs and a range of extended services, including cultivation instructions for farmers, and training courses. There is also a guaranteed buy-back of all their harvested corn. To this end, 40 field officers – 20 per active district – have been deployed to provide these training and advisory services. Other initiatives include crop insurance schemes, life insurance schemes, funeral fund, scholarship schemes, and a farmer’s welfare fund all geared towards the upliftment of the social well-being of the farming community in some of the most rural parts of Sri Lanka. Approximately 6,000 farmers were involved in the first season alone, and this number is to be increased to 15,000 from the next season onwards. The 12,000 acres that were cultivated in last season, it will be increased to between 35,000 – 40,000 acres from next season. In the Yala season, the Polonnaruwa, Badulla, and Ampara districts will be targeted in addition to the Anuradhapura and Monaragala districts. 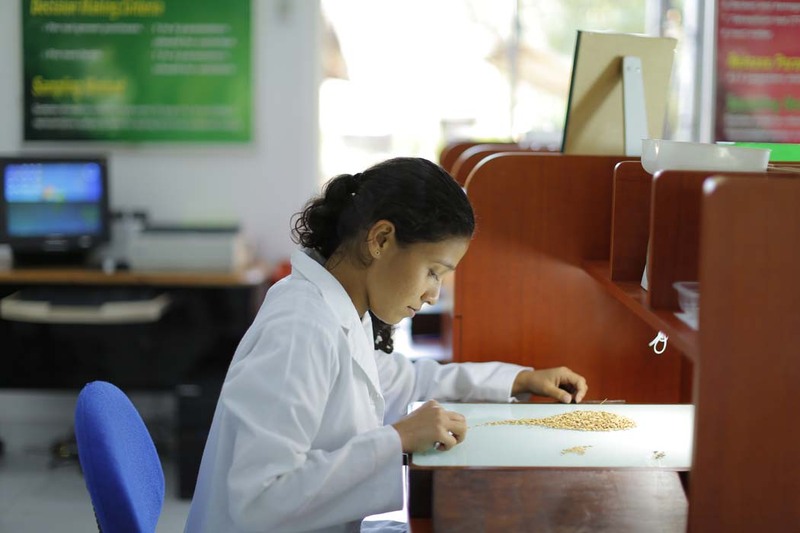 One of the main aims of The Golden Harvest Project is to increase the productivity of corn farming in Sri Lanka. It is expected that the upliftment of the farming community and the training and expertise provided will increase productivity from the national average of 1.5 MT per acre to 3 MT per acre. With this increase, it is estimated that a farmer’s income can be increased by 40%. In the last season, The Golden Harvest Project saw an increase in yield of 40%. The use of good agricultural practises and the provision of new agricultural technology to farmers is expected to gain even higher dividends in the future. 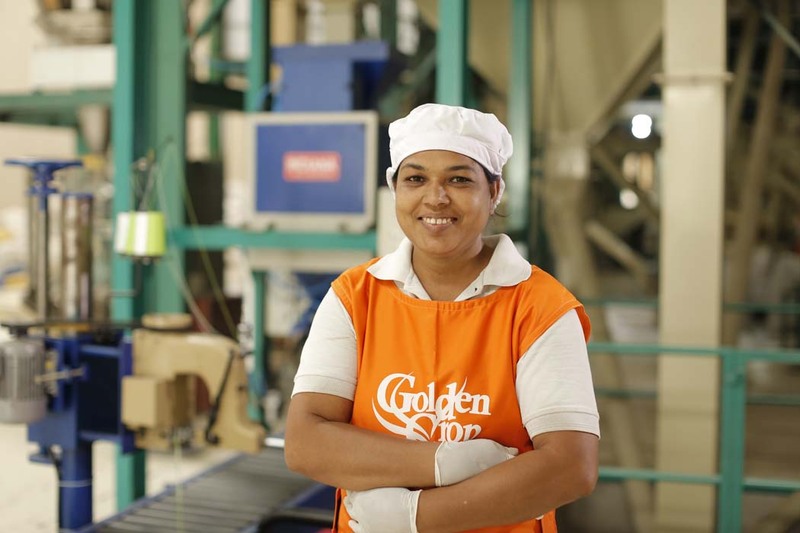 The Golden Harvest Project is headed by its CEO, and the facilities in Anuradhapura and Monaragala are each headed by a General Manager. Each facility has one Assistant General Manager, one engineer, and 20 field officers. To find out more information about the Golden Harvest Project, contact erosh@cicagri.com. CIC Holdings owns Cropwiz (Pvt.) 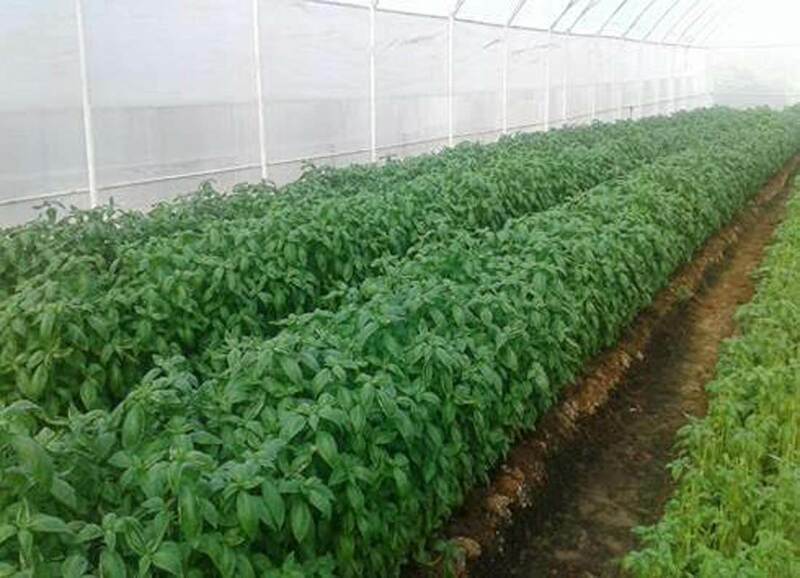 Ltd., a BOI-approved venture that is equipped to produce high-value vegetables by using greenhouses. This business was established for the export of produce to the Middle-East and several other countries in Asia. 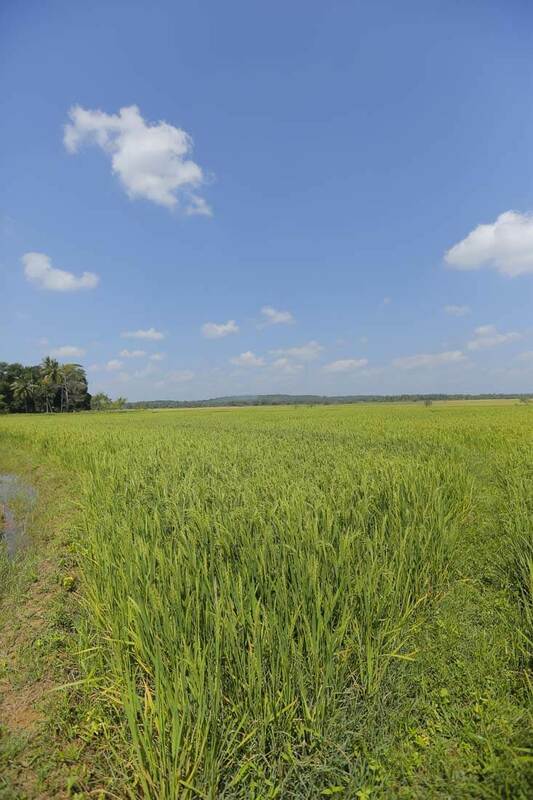 Cropwiz is located in Walpita in the Gampaha District in a property that covers over 7 hectares. 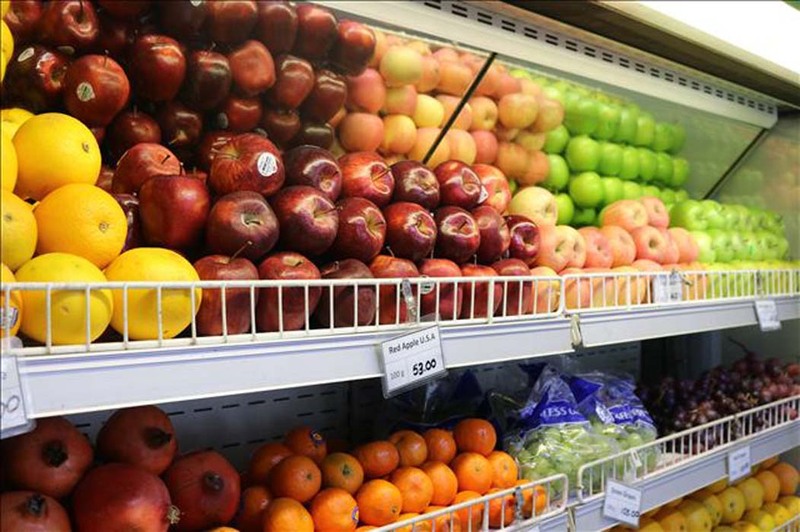 Initially, its product range will include bell peppers, cherry tomatoes, and iceberg lettuce. Cropwiz’s complex of greenhouses uses state-of-the-art technology, and aims to provide many advantages over traditional methods. These advantages include the mitigation of risks posed by adverse climactic conditions; the optimisation of the use of resources such as seeds, fertiliser, and crop protection substances; and the reduction of the impact of pests and diseases. Product safety and environmental sustainability are also major factors to venture into greenhouse-based production. 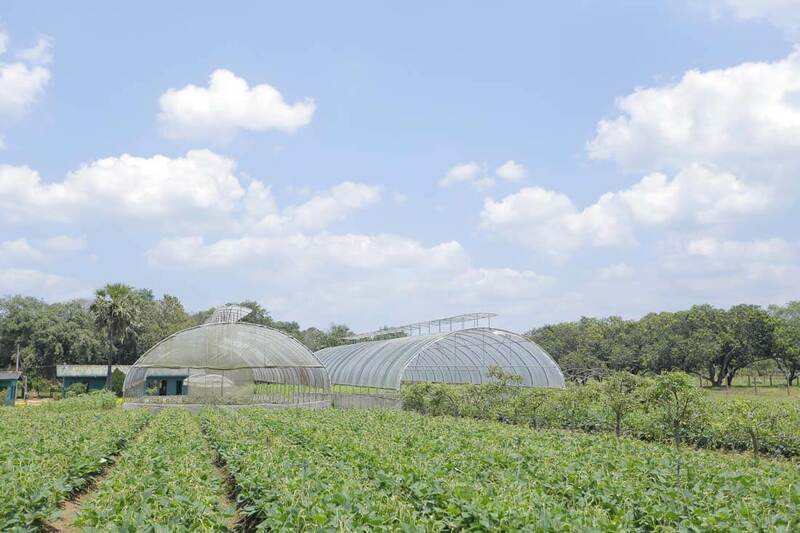 The use of advanced farming techniques using greenhouses ensures year-round production of high-quality vegetables that are on par with European standards, that are required by high-end markets overseas. These are available in supermarkets and leading pharmacies. The Glycaemic Index (GI) is a ranking of carbohydrate-containing foods based on the overall effect on blood glucose levels. 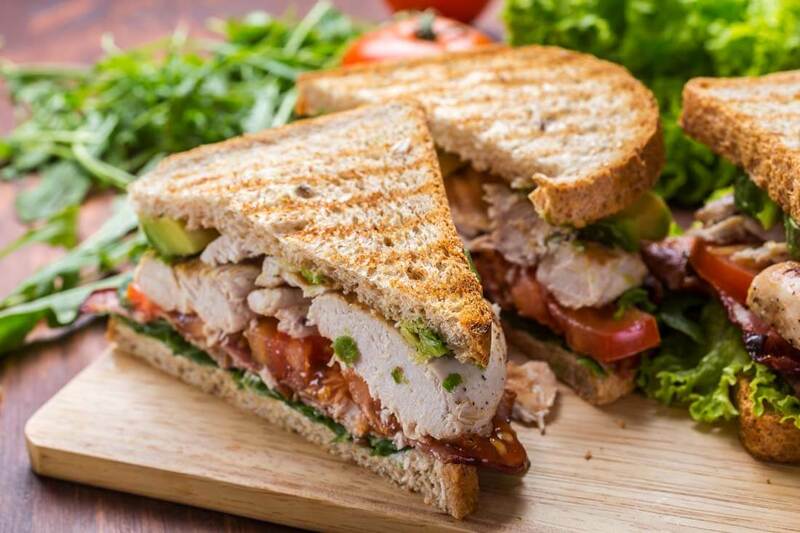 High GI foods cause a rapid increase in blood glucose while low or medium GI foods are broken down more slowly and cause a gradual rise in blood sugar levels over time. 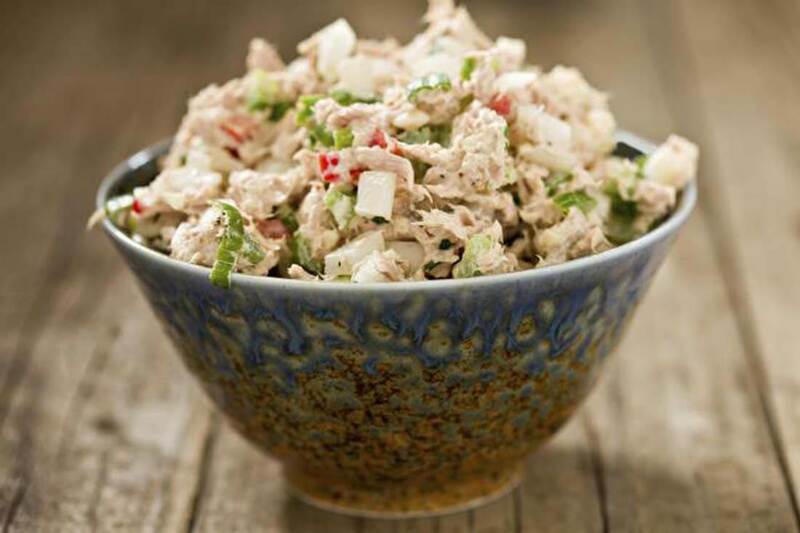 If you have diabetes, eating foods with low GI ratings can help control blood glucose and have several proven health benefits; including improvement of weight, diabetes and cholesterol. 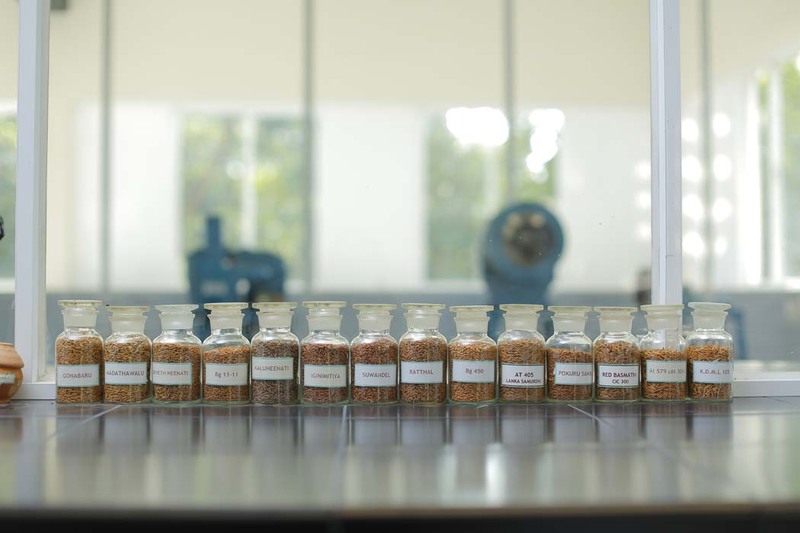 At CIC, along with minimal polishing, we use the latest technologies to preserve rice bran which is an excellent source of flavonoids and ant-oxidants known to offer a number of health benefits. A diet high in antioxidants may reduce the risk of many diseases including heart disease and certain cancers. Antioxidants prevent the actions caused by damaging free radicals. The main pigment in black and red rice is Anthocyanin which is water soluble and a natural result of washing would be a discharge of this pigment into the water. Therefore, it is advisable to limit your washing to once or twice in order to preserve the valuable water soluble flavonoids in the bran. 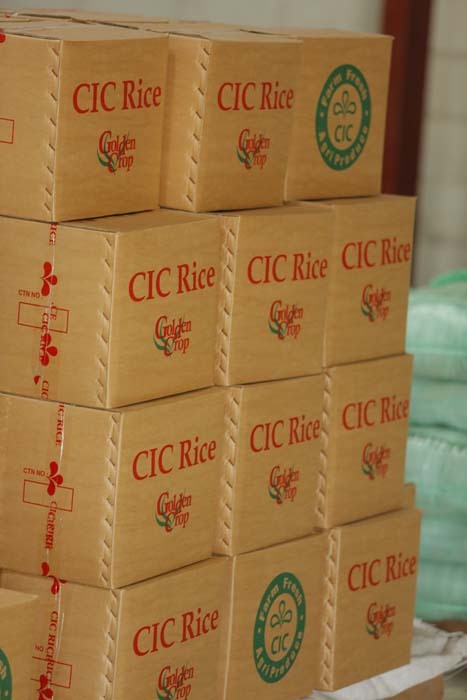 Since CIC Golden Crop rice is being hygienically processed using advanced technologies, there is no requirement for repeated washing before cooking. CIC Agri Produce Export (Pvt) Ltd was established in 2006 as a subsidiary of CIC Agri Businesses (Pvt) Ltd, the main holding company of CIC Agri Business. This company was formed to make use of identified opportunities in the global marketplace and to supply high quality agricultural produce for competitive markets while upholding the philosophy of CIC Agri Business. A high-tech rice mill was established in Maho in 2007 with this objective in mind. 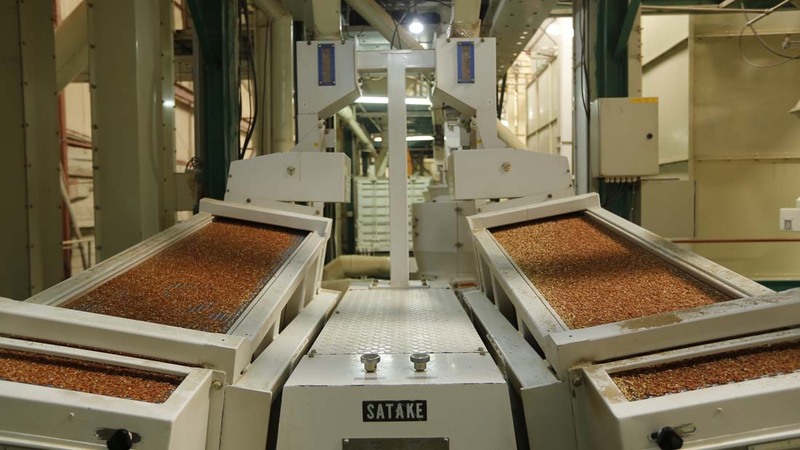 The rice mill uses Japanese Satake technology. 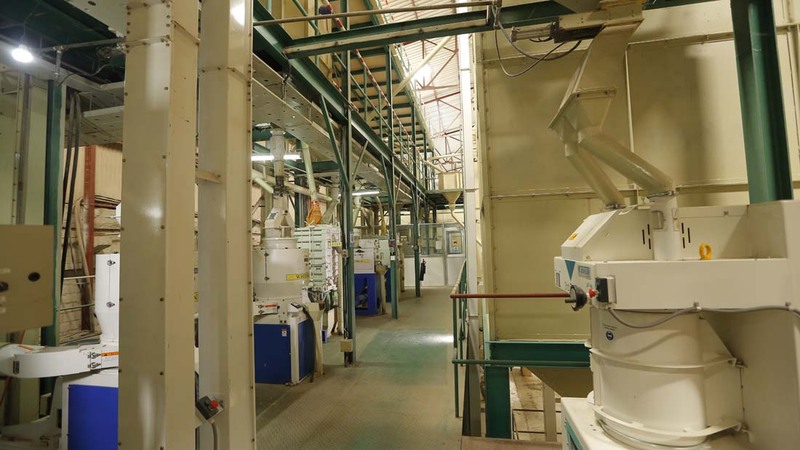 In 2013, it was expanded further with Buhler machinery for parboiled rice production. 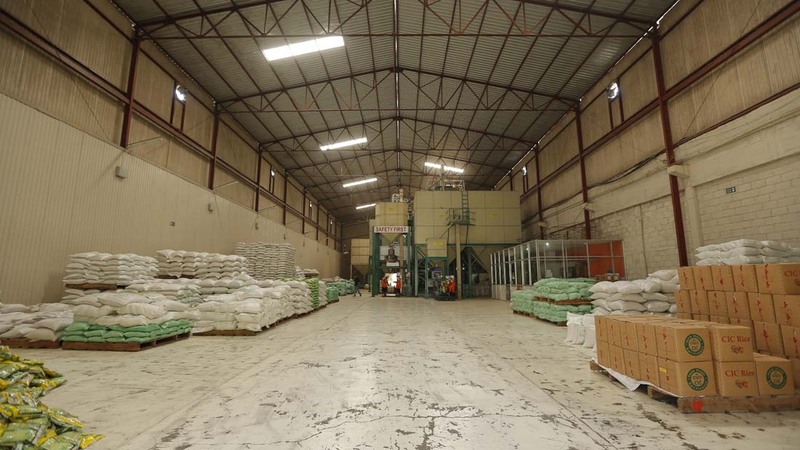 The facility in Maho is fully equipped with modern machinery and spacious warehouses. It is operated by a well-trained and skilled staff, and is supervised by a professional management team. Strict quality control measures and inspections at every stage of the process ensure that products of a high standard are output every time. 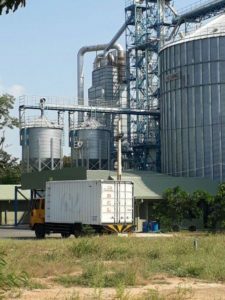 The mill has a capacity of 6,000 MT per annum and produces premium quality rice for the local and international markets. 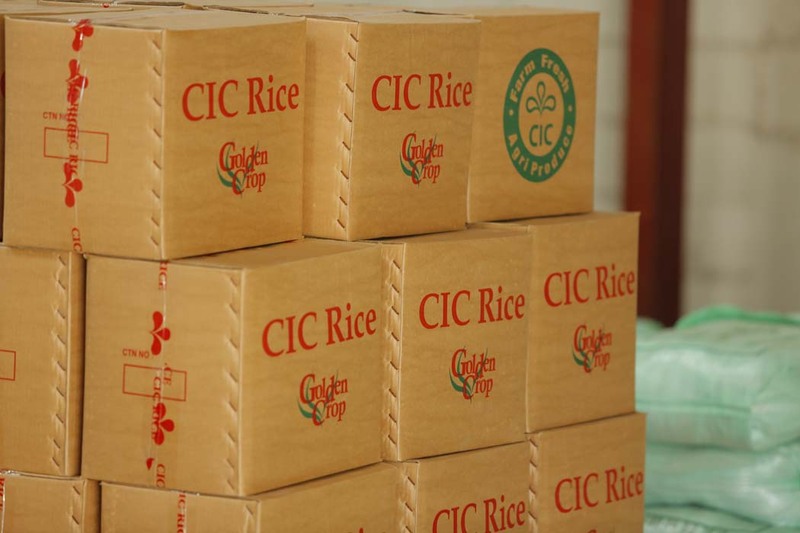 In recognition of the quality and safety of its products, CIC’s Rice Production Management System has been awarded the HACCP and ISO 22000 management system certifications. 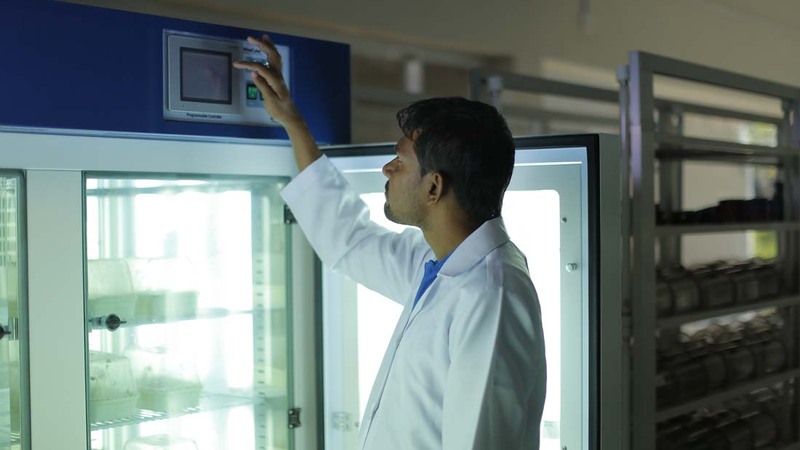 It uses a systematic preventive approach to achieve food safety, which can be caused by biological, chemical, and physical hazards during the production processes that can cause the finished product to be unsafe. The design of the process takes into account measures to reduce such risks to an acceptable level. 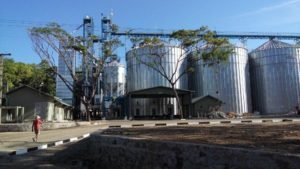 The CIC Rice processing facility at Maho is registered and approved by the Food and Drug Administration of the United States (US FDA), indicating its level of commitment to excellence. 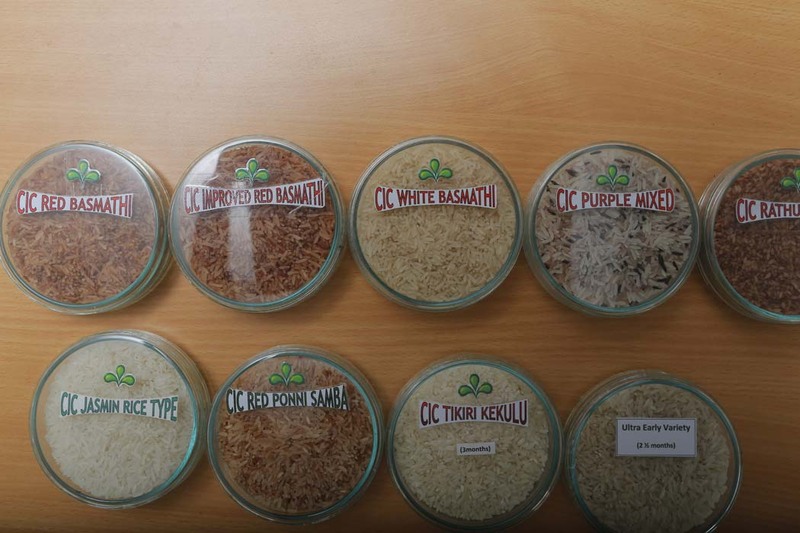 CIC Agri Produce Export aims to be the leading manufacturer and exporter of several varieties of high quality Sri Lankan rice, including traditional and fragrant varieties to the international and domestic markets. These will be marketed under the “Golden Crop” brand as well as other private labels. Export markets earmarked for trade include the USA, Canada, the European Union, UK, Australia, New Zealand, the Middle East, and Japan. For this venture to succeed, the company has to pay the utmost attention to the quality and safety of its entire range of processes. The Rice Research division of the Rice business, headed by Dr. Sumith Abeysiriwardena, is working on developing new healthy rice varieties., Whole Grain Red Basmathi Rice ( GI 51) I which has a Low Glycemic Index (LOW GI) and has already been introduced to the market, is certified by Baker IDI Hearts and Diabetes Institute in Australia and Temasek Polytechnic Glycemic Index Research Unit in Singapore. 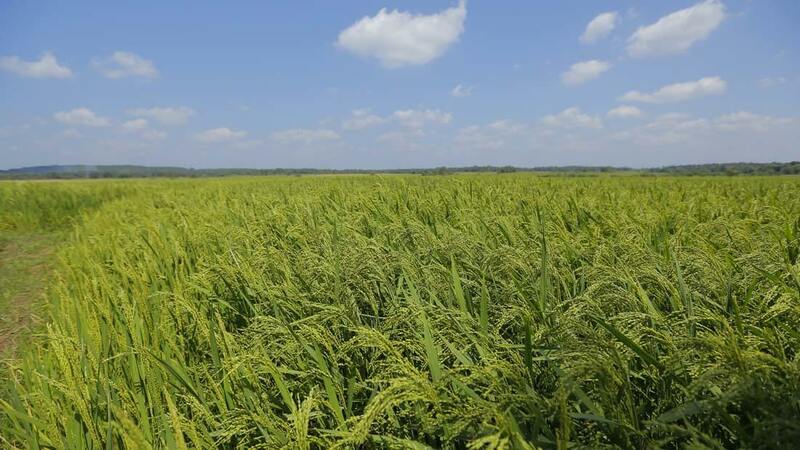 In addition, the new LOW GI rice varieties, Fragrant Red Basmathi Rice (GI 48), Wholesome Red Basmathi Rice (GI 54), and LOW GI White Basmathi Rice (GI 41) will be introduced to the market in the latter half of 2016. 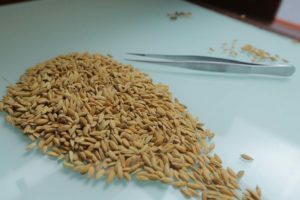 Two more products originating from the Rice Research Unit are Black Rice and Purple Mix Rice, both of which are already being exported to Canada. Sri Lanka has been experiencing increased demand in the requirement of planting materials over the past few years. 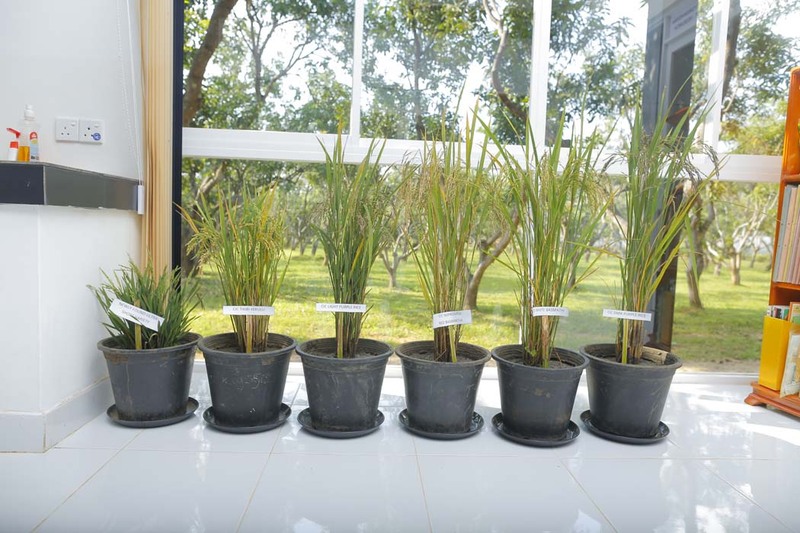 The lack of quality material for planting is considered one of the main barriers towards the development of Sri Lanka’s agriculture sector. 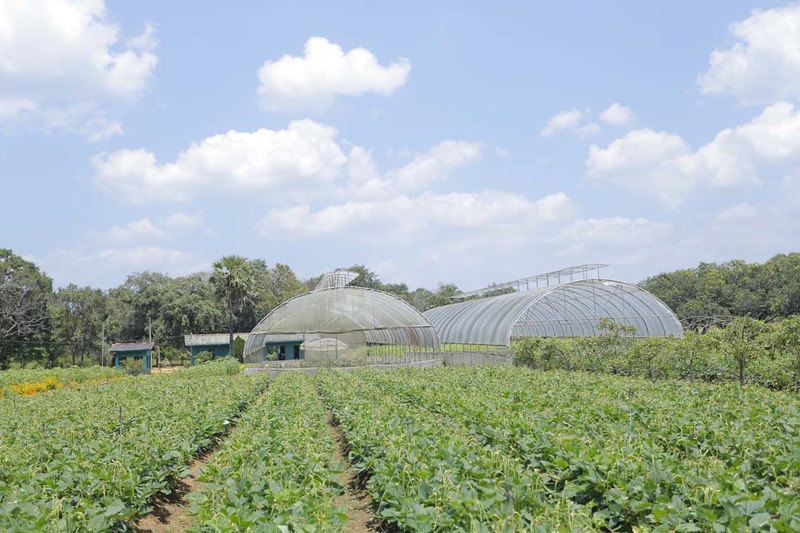 CIC Seeds has taken the initiative in this regard, and maintains large-scale seed farms and plant supply nurseries, of which the largest is located in Hingurakgoda. 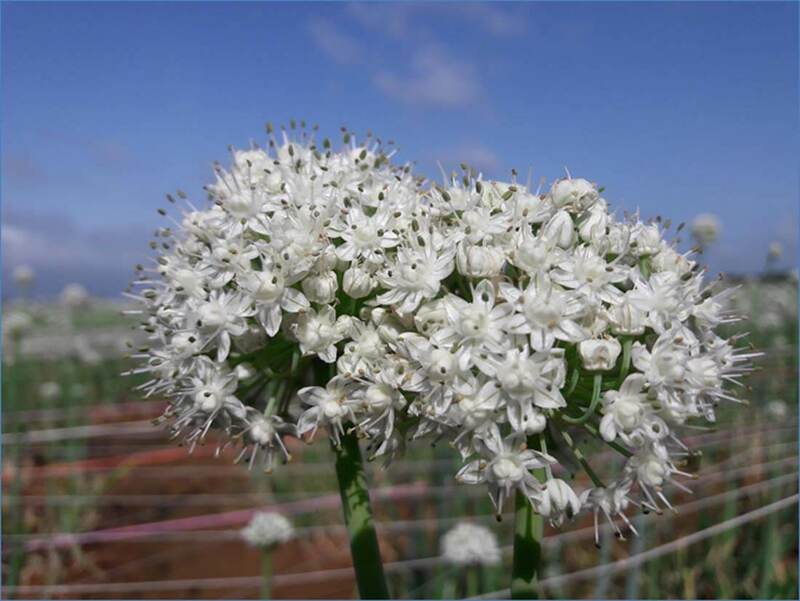 The company currently produces and supplies a large quantity of seed and over one million plants per annum. Planting materials include grafted fruit plant and virus-free tissue culture banana plants. The main categories when it comes to seeds are Seed Paddy, Imported Vegetable Seeds, Local Vegetable Seeds, and Potato Seeds. Seed paddy cultivation is a long-term process that involves several steps. The process starts with inputs from production planning. Unprocessed seeds are quality checked before being fed to the plant. 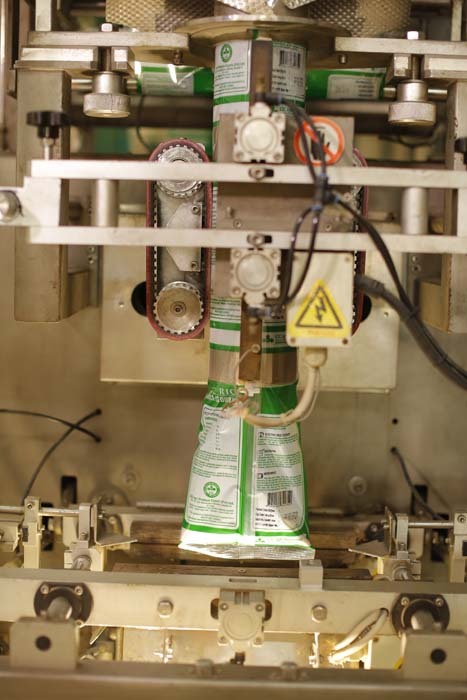 Each processed batch is checked for quality initially at the point of bagging. Additional Quality Control (QC) checks are done at the QC Lab. Every bag of seeds contains vital information such as variety, lot number, germination, moisture content, date of packing, and date of expiry. Colour-coded tags and labels further indicate the exact variety of seed. All measuring and monitoring devices are calibrated or validated to judge their required accuracy. All raw materials, materials in processing, and finished products are handled in such a way as to prevent damage, breakage, deterioration, and contamination. All raw materials, materials in processing, and finished products are stored under safe conditions to prevent damage, breakage, deterioration, and contamination. All materials are stored in a designated area with an identification tag to prevent any misidentification and inadvertent usage. Finished products are delivered under safe conditions to prevent damage, breakage, deterioration, and contamination. The company ensures that the customer receives a sound product at his / her end as a result of the delivery process. Seed paddy produced in the farm is cleaned using state of the art seed processing machines imported from Germany that meet international quality standards. 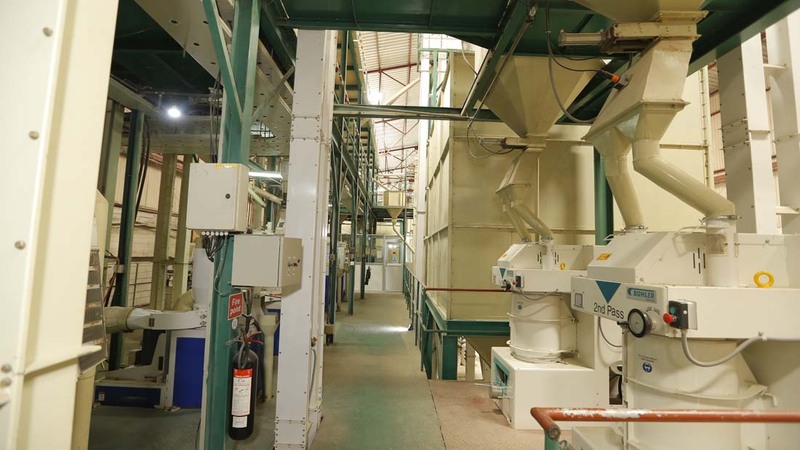 The total Seed processing capacity is around 3,000 bushels per day. Several vegetable seed types are imported owing to the unavailability of quality seed in the local market, or lack of supply. 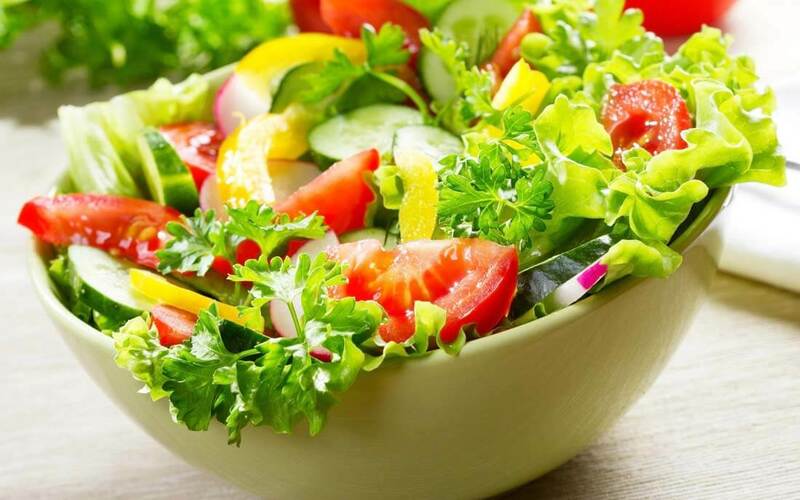 Types of vegetable for which seeds are imported include Luffa, Bitter Gourd, Cabbage, Capsicum, Cauliflower, Cucumber, Hot Peppers, Long Beans, Maize, Pumpkin, Radish, and Tomato, among others. Imported Vegetable Seeds are available for purchase at CIC’s distribution centres. Some varieties of vegetable seeds can be sourced locally. 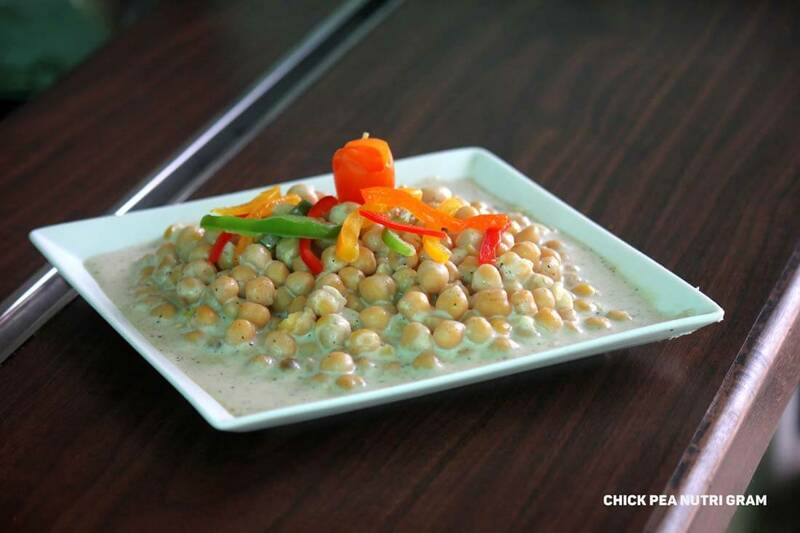 These include Beans, Brinjals, Chillies, Okra, Snake Gourd, and Long Bean. These seeds are available at CIC’s distribution centres. Potatoes are predominantly grown in the colder Nuwara Eliya and Badulla districts. The total seed potato requirement in the country is approximately 19,000 MT per annum. Of this, about 2,000 MT to 3,000 MT are imported. 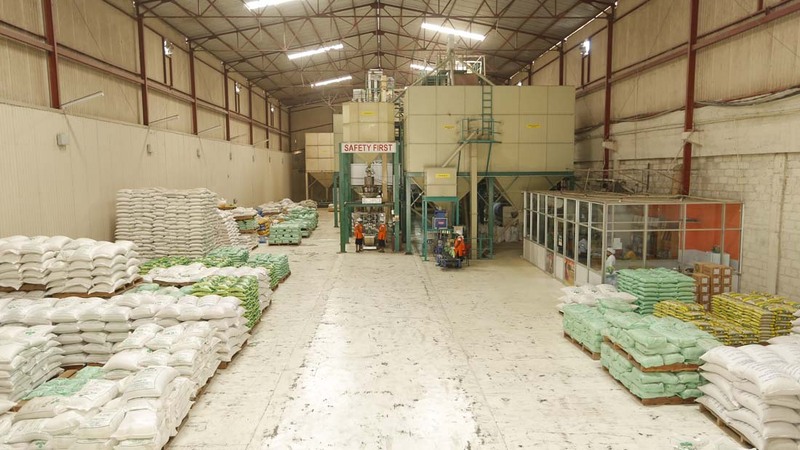 The following sales and distribution centres, located in various parts of the country, are the main points where seeds and plant materials can be purchased. These also include centres that provide advisory services, machinery, and other goods and services. Wayamba Agro Fertilizer Co. Maho.